This is not the first time that false rumours that I am ill are circulating in the bourgeois press. Obviously, there are people to whose interest it is that I should fall ill seriously and for a long time; if not worse. Perhaps it is not very tactful of me, but unfortunately I have no data capable of gratifying these gentlemen. Sad though it may be, nothing will avail against facts, viz., that I am in perfect health. As for Mr. Zondeck, he can attend to the health of other comrades, which is why he has been invited to come to the U.S.S.R. The work of the Complaints Bureaus (1) is of tremendous importance in the struggle to remove shortcomings in our Party, Soviet, economic, trade-union and Komsomol apparatuses, in improving our administrative apparatus. Lenin said that without an apparatus we should have perished long ago, and that without a systematic, stubborn struggle to improve the apparatus we should certainly perish. This means that resolute and systematic struggle against conservatism, bureaucracy and red tape in our apparatus is an essential task of the Party, the working class and all the working people of our country. The tremendous importance of the Complaints Bureaus consists in their being a serious means of carrying out Lenin’s behest concerning the struggle to improve the apparatus. It is indisputable that the Complaints Bureaus have considerable achievements to their credit in this field. The task is to consolidate the results attained and to achieve decisive successes in this matter. There can be no doubt that if the Complaints Bureaus rally around them all the more active sections of the workers and collective farmers, drawing them into the work of administering the state and attentively heeding the voice of the working people both within and without the Party, these decisive successes will be won. Let us hope that the five-day review of the work of the Complaints Bureaus will serve as a stimulus for further expansion of their work along the line indicated by our teacher Lenin. (1) The Complaints Bureau was set up in April 1919 under the People’s Commissariat of State Control, which in 1920 was changed to the Peoples’ Commissariat of Workers’ And peasant’ Inspection. The tasks and scoop of the work of the Central Bureau of Complaints & Applications were defined by a regulation dated May 4, 1919, and those of the local departments the Central Bureau by a regulation dated May 24th, 1919, published over the signature of Stalin, People’s Commissar of State Control. From the day they were formed the Central and local bureaus did much work in investigating and checking complaints and statements of working people, enlisting in this work an extensive active of workers and peasants. From February 1934 the Bureau of Complaints and Applications was included in the system of the Soviet Control Commission under the Council of People’s Commissariats, and from September 1940 it has formed a department of the Peoples Commissariat (subsequently Ministry) of State Control of the USSR. Stalin’s article, “The Importance of the USSR Complaints Bureaus” was written in connection with the all-Union five-day review and checking of the work of the bureaus carried out on April 9-14th, 1932, by a decision of the Presidium of the Central Control Commission of the CPSU(B), and the Collegium of the People’s Commissariat of the USSR. Today the capitalists have to learn from you, to grasp the spirit of socialism. It seems to me that what is taking place in the United States is a profound reorganisation, the creation of planned, that is, socialist, economy. You and Roosevelt begin from two different starting points. But is there not a relation in ideas, a kinship of ideas, between Moscow and Washington? In Washington I was struck by the same thing I see going on here; they are building offices, they are creating a number of state regulation bodies, they are organising a long-needed Civil Service. Their need, like yours, is directive ability. Stalin: The United States is pursuing a different aim from that which we are pursuing in the U.S.S.R. The aim which the Americans are pursuing, arose out of the economic troubles, out of the economic crisis. The Americans want to rid themselves of the crisis on the basis of private capitalist activity, without changing the economic basis. They are trying to reduce to a minimum the ruin, the losses caused by the existing economic system. Here, however, as you know, in place of the old, destroyed economic basis, an entirely different, a new economic basis has been created. Even if the Americans you mention partly achieve their aim, i.e., reduce these losses to a minimum, they will not destroy the roots of the anarchy which is inherent in the existing capitalist system. They are preserving the economic system which must inevitably lead, and cannot but lead, to anarchy in production. Thus, at best, it will be a matter, not of the reorganisation of society, not of abolishing the old social system which gives rise to anarchy and crises, but of restricting certain of its excesses. Subjectively, perhaps, these Americans think they are reorganising society; objectively, however, they are preserving the present basis of society. That is why, objectively, there will be no reorganisation of society. Nor will there be planned economy. What is planned economy? What are some of its attributes? Planned economy tries to abolish unemployment. Let us suppose it is possible, while preserving the capitalist system, to reduce unemployment to a certain minimum. But surely, no capitalist would ever agree to the complete abolition of unemployment, to the abolition of the reserve army of unemployed, the purpose of which is to bring pressure on the labour market, to ensure a supply of cheap labour. Here you have one of the rents in the “planned economy” of bourgeois society. Furthermore, planned economy presupposes increased output in those branches of industry which produce goods that the masses of the people need particularly. But you know that the expansion of production under capitalism takes place for entirely different motives, that capital flows into those branches of economy in which the rate of profit is highest. You will never compel a capitalist to incur loss to himself and agree to a lower rate of profit for the sake of satisfying the needs of the people. Without getting rid of the capitalists, without abolishing the principle of private property in the means of production, it is impossible to create planned economy. Wells: I agree with much of what you have said. But I would like to stress the point that if a country as a whole adopts the principle of planned economy, if the government, gradually, step by step, begins consistently to apply this principle, the financial oligarchy will at last be abolished and socialism, in the Anglo-Saxon meaning of the word, will be brought about. The effect of the ideas of Roosevelt’s “New Deal” is most powerful, and in my opinion they are socialist ideas. It seems to me that instead of stressing the antagonism between the two worlds, we should, in the present circumstances, strive to establish a common tongue for all the constructive forces. Stalin: In speaking of the impossibility of realising the principles of planned economy while preserving the economic basis of capitalism, I do not in the least desire to belittle the outstanding personal qualities of Roosevelt, his initiative, courage and determination. Undoubtedly, Roosevelt stands out as one of the strongest figures among all the captains of the contemporary capitalist world. That is why I would like, once again, to emphasize the point that my conviction that planned economy is impossible under the conditions of capitalism, does not mean that I have any doubts about the personal abilities, talent and courage of President Roosevelt. But if the circumstances are unfavourable, the most talented captain cannot reach the goal you refer to. .
Theoretically, of course, the possibility of marching gradually, step by step, under the conditions of capitalism, towards the goal which you call socialism in the Anglo-Saxon meaning of the word, is not precluded. . But what will this “socialism” be? At best, bridling to some extent, the most unbridled of individual representatives of capitalist profit, some increase in the application of the principle of regulation in national economy. That is all very well. But as soon as Roosevelt, or any other captain in the contemporary bourgeois world, proceeds to undertake something serious against the foundation of capitalism, he will inevitably suffer utter defeat. The banks, the industries, the large enterprises, the large farms are not in Roosevelt’s hands. All these are private property. The railroads, the mercantile fleet, all these belong to private owners. And, finally, the army of skilled workers, the engineers, the technicians, these too are not at Roosevelt’s command, they are at the command of the private owners; they all work for the private owners. We must not forget the functions of the State in the bourgeois world. The State is an institution that organises the defence of the country, organises the maintenance of “order”; it is an apparatus for collecting taxes. The capitalist State does not deal much with economy in the strict sense of the word; the latter is not in the hands of the State. On the contrary, the State is in the hands of capitalist economy. That is why I fear that in spite of all his energies and abilities, Roosevelt will not achieve the goal you mention, if indeed that is his goal. Perhaps, in the course of several generations it will be possible to approach this goal somewhat; but I personally think that even this is not very probable. .
Wells: Perhaps, I believe more strongly in the economic interpretation of politics than you do. Huge forces driving towards better organisation, for the better functioning of the community, that is, for socialism, have been brought into action by invention and modern science. Organisation, and the regulation of individual action, have become mechanical necessities, irrespective of social theories. If we begin with the State control of the banks and then follow with the control of transport, of the heavy industries of industry in general, of commerce, etc., such an all-embracing control will be equivalent to the State ownership of all branches of national economy. This will be the process of socialisation. Socialism and individualism are not opposites like black and white. . There are many intermediate stages between them. . There is individualism that borders on brigandage, and there is discipline and organisation that are the equivalent of socialism. The introduction of planned economy depends, to a large degree, upon the organisers of economy, upon the skilled technical intelligentsia, who, step by step, can be converted to the socialist principles of organisation. And this is the most important thing. Because organisation comes before socialism. It is the more important fact. . Without organisation the socialist idea is a mere idea. .
Stalin: There is no, nor should there be, irreconcilable contrast between the individual and the collective, between the interests of the individual person and the interests of the collective. There should be no such contrast, because collectivism, socialism, does not deny, but combines individual interests with the interests of the collective. Socialism cannot abstract itself from individual interests. Socialist society alone can most fully satisfy these personal interests. More than that; socialist society alone can firmly safeguard the interests of the individual. In this sense there is no irreconcilable contrast between “individualism” and socialism. But can we deny the contrast between classes, between the propertied class, the capitalist class, and the toiling class, the proletarian class? On the one hand we have the propertied class which owns the banks, the factories, the mines, transport, the plantations in colonies. These people see nothing but their own interests, their striving after profits. They do not submit to the will of the collective; they strive to subordinate every collective to their will. On the other hand we have the class of the poor, the exploited class, which owns neither factories nor works, nor banks, which is compelled to live by selling its labour power to the capitalists which lacks the opportunity to satisfy its most elementary requirements. How can such opposite interests and strivings be reconciled? As far as I know, Roosevelt has not succeeded in finding the path of conciliation between these interests. And it is impossible, as experience has shown. Incidentally, you know the situation in the United States better than I do as I have never been there and I watch American affairs mainly from literature. But I have some experience in fighting for socialism, and this experience tells me that if Roosevelt makes a real attempt to satisfy the interests of the proletarian class at the expense of the capitalist class, the latter will put another president in his place. The capitalists will say : Presidents come and presidents go, but we go on forever; if this or that president does not protect our interests, we shall find another. What can the president oppose to the will of the capitalist class? Wells: I object to this simplified classification of mankind into poor and rich. Of course there is a category of people which strive only for profit. But are not these people regarded as nuisances in the West just as much as here? Are there not plenty of people in the West for whom profit is not an end, who own a certain amount of wealth, who want to invest and obtain a profit from this investment, but who do not regard this as the main object? They regard investment as an inconvenient necessity. Are there not plenty of capable and devoted engineers, organisers of economy, whose activities are stimulated by something other than profit? In my opinion there is a numerous class of capable people who admit that the present system is unsatisfactory and who are destined to play a great role in future socialist society. During the past few years I have been much engaged in and have thought of the need for conducting propaganda in favour of socialism and cosmopolitanism among wide circles of engineers, airmen, military technical people, etc. It is useless to approach these circles with two-track class war propaganda. These people understand the condition of the world. They understand that it is a bloody muddle, but they regard your simple class-war antagonism as nonsense. Stalin: You object to the simplified classification of mankind into rich and poor. Of course there is a middle stratum, there is the technical intelligentsia that you have mentioned and among which there are very good and very honest people. Among them there are also dishonest and wicked people, there are all sorts of people among them, But first of all mankind is divided into rich and poor, into property owners and exploited; and to abstract oneself from this fundamental division and from the antagonism between poor and rich means abstracting oneself from the fundamental fact. I do not deny the existence of intermediate middle strata, which either take the side of one or the other of these two conflicting classes, or else take up a neutral or semi-neutral position in this struggle. But, I repeat, to abstract oneself from this fundamental division in society and from the fundamental struggle between the two main classes means ignoring facts. The struggle is going on and will continue. The outcome will be determined by the proletarian class, the working class. Wells: But are there not many people who are not poor, but who work and work productively? Stalin: Of course, there are small landowners, artisans, small traders, but it is not these people who decide the fate of a country, but the toiling masses, who produce all the things society requires. Wells: But there are very different kinds of capitalists. There are capitalists who only think about profit, about getting rich; but there are also those who are prepared to make sacrifices. Take old Morgan for example. He only thought about profit; he was a parasite on society, simply, he merely accumulated wealth. But take Rockefeller. He is a brilliant organiser; he has set an example of how to organise the delivery of oil that is worthy of emulation. Or take Ford. Of course Ford is selfish. But is he not a passionate organiser of rationalised production from whom you take lessons? I would like to emphasise the fact that recently an important change in opinion towards the U.S.S.R. has taken place in English speaking countries. The reason for this, first of all, is the position of Japan and the events in Germany. But there are other reasons besides those arising from international politics. There is a more profound reason namely, the recognition by many people of the fact that the system based on private profit is breaking down. Under these circumstances, it seems to me, we must not bring to the forefront the antagonism between the two worlds, but should strive to combine all the constructive movements, all the constructive forces in one line as much as possible. It seems to me that I am more to the Left than you, Mr. Stalin; I think the old system is nearer to its end than you think. Stalin: In speaking of the capitalists who strive only for profit, only to get rich, I do not want to say that these are the most worthless people, capable of nothing else. Many of them undoubtedly possess great organising talent, which I do not dream of denying. We Soviet people learn a great deal from the capitalists. And Morgan, whom you characterise so unfavourably, was undoubtedly a good, capable organiser. But if you mean people who are prepared to reconstruct the world, of course, you will not be able to find them in the ranks of those who faithfully serve the cause of profit. We and they stand at opposite poles. You mentioned Ford. Of course, he is a capable organiser of production. But don’t you know his attitude to the working class? Don’t you know how many workers he throws on the street? The capitalist is riveted to profit; and no power on earth can tear him away from it. Capitalism will be abolished, not by “organisers” of production not by the technical intelligentsia, but by the working class, because the aforementioned strata do not play an independent role. The engineer, the organiser of production does not work as he would like to, but as he is ordered, in such a way as to serve the interests of his employers. There are exceptions of course; there are people in this stratum who have awakened from the intoxication of capitalism. The technical intelligentsia can, under certain conditions, perform miracles and greatly benefit mankind. But it can also cause great harm. We Soviet people have not a little experience of the technical intelligentsia. After the October Revolution, a certain section of the technical intelligentsia refused to take part in the work of constructing the new society; they opposed this work of construction and sabotaged it. We did all we possibly could to bring the technical intelligentsia into this work of construction; we tried this way and that. Not a little time passed before our technical intelligentsia agreed actively to assist the new system. Today the best section of this technical intelligentsia are in the front rank of the builders of socialist society. Having this experience we are far from underestimating the good and the bad sides of the technical intelligentsia and we know that on the one hand it can do harm, and on the other hand, it can perform “miracles.” Of course, things would be different if it were possible, at one stroke, spiritually to tear the technical intelligentsia away from the capitalist world. But that is utopia. Are there many of the technical intelligentsia who would dare break away from the bourgeois world and set to work reconstructing society? Do you think there are many people of this kind, say, in England or in France? No, there are few who would be willing to break away from their employers and begin reconstructing the world. Besides, can we lose sight of the fact that in order to transform the world it is necessary to have political power? It seems to me, Mr. Wells, that you greatly underestimate the question of political power, that it entirely drops out of your conception. What can those, even with the best intentions in the world, do if they are unable to raise the question of seizing power, and do not possess power? At best they can help the class which takes power, but they cannot change the world themselves. This can only be done by a great class which will take the place of the capitalist class and become the sovereign master as the latter was before. This class is the working class. Of course, the assistance of the technical intelligentsia must be accepted; and the latter in turn, must be assisted. But it must not be thought that the technical intelligentsia can play an independent historical role. The transformation of the world is a great, complicated and painful process. For this task a great class is required. Big ships go on long voyages. Wells: Yes, but for long voyages a captain and navigator are required. Stalin: That is true; but what is first required for a long voyage is a big ship. What is a navigator without a ship? An idle man, Wells : The big ship is humanity, not a class. Stalin: You, Mr. Wells, evidently start out with the assumption that all men are good. I, however, do not forget that there are many wicked men. I do not believe in the goodness of the bourgeoisie. Wells: I remember the situation with regard to the technical intelligentsia several decades ago. At that time the technical intelligentsia was numerically small, but there was much to do and every engineer, technician and intellectual found his opportunity. That is why the technical intelligentsia was the least revolutionary class. Now, however, there is a superabundance of technical intellectuals, and their mentality has changed very sharply. The skilled man, who would formerly never listen to revolutionary talk, is now greatly interested in it. Recently I was dining with the Royal Society, our great English scientific society. The President’s speech was a speech for social planning and scientific control. Thirty years ago, they would not have listened to what I say to them now. Today, the man at the head of the Royal Society holds revolutionary views and insists on the scientific reorganisation of human society. Mentality changes. Your class-war propaganda has not kept pace with these facts. Stalin: Yes, I know this, and this is to be explained by the fact that capitalist society is now in a cul-de sac. The capitalists are seeking, but cannot find a way out of this cul-de-sac that would be compatible with the dignity of this class, compatible with the interests of this class. They could, to some extent, crawl out of the crisis on their hands and knees, but they cannot find an exit that would enable them to walk out of it with head raised high, a way out that would not fundamentally disturb the interests of capitalism. This, of course, is realised by wide circles of the technical intelligentsia. A large section of it is beginning to realise the community of its interests with those of the class which is capable of pointing the way out of the cul-de-sac. Wells: You of all people know something about revolutions, Mr. Stalin, from the practical side. Do the masses ever rise? Is it not an established truth that all revolutions are made by a minority? 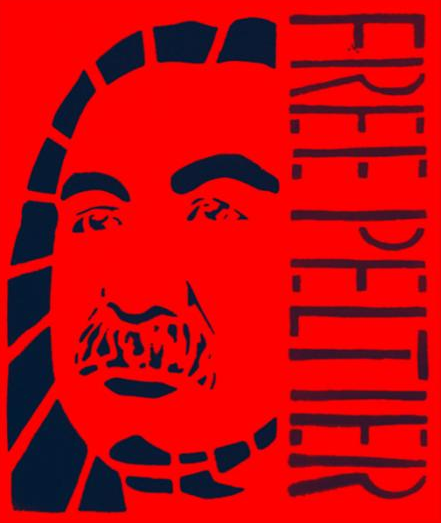 Stalin: To bring about a revolution a leading revolutionary minority is required; but the most talented, devoted and energetic minority would be helpless if it did not rely upon the at least passive support of millions. Wells: At least passive? Perhaps sub-conscious? Stalin: Partly also the semi-instinctive and semiconscious, but without the support of millions, the best minority is impotent. Wells: I watch communist propaganda in the West and it seems to me that in modern conditions this propaganda sounds very old-fashioned, because it is insurrectionary propaganda. Propaganda in favour of the violent overthrow of the social system was all very well when it was directed against tyranny. But under modern conditions, when the system is collapsing anyhow, stress should be laid on efficiency, on competence, on productiveness, and not on insurrection. It seems to me that the insurrectionary note is obsolete. The communist propaganda in the West is a nuisance to constructive-minded people. Stalin: Of course the old system is breaking down and decaying. That is true. But it is also true that new efforts are being made by other methods, by every means, to protect, to save this dying system. You draw a wrong conclusion from a correct postulate. You rightly state that the old world is breaking down. But you are wrong in thinking that it is breaking down of its own accord. No, the substitution of one social system for another is a complicated and long revolutionary process. It is not simply a spontaneous process, but a struggle, it is a process connected with the clash of classes. Capitalism is decaying, but it must not be compared simply with a tree which has decayed to such an extent that it must fall to the ground of its own accord. 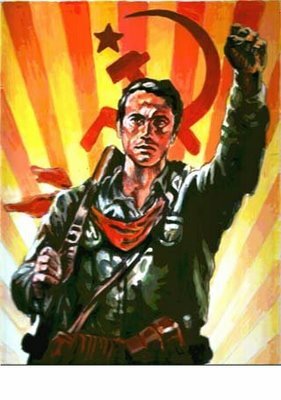 No, revolution, the substitution of one social system for another, has always been a struggle, a painful and a cruel struggle, a life and death struggle. And every time the people of the new world came into power they had to defend themselves against the attempts of the old world to restore the old power by force; these people of the new world always had to be on the alert, always had to be ready to repel the attacks of the old world upon the new system. Yes, you are right when you say that the old social system is breaking down; but it is not breaking down of its own accord. Take Fascism for example. 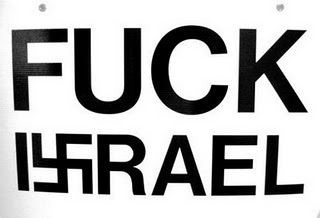 Fascism is a reactionary force which is trying to preserve the old system by means of violence. What will you do with the fascists? Argue with them? Try to convince them? But this will have no effect upon them at all. 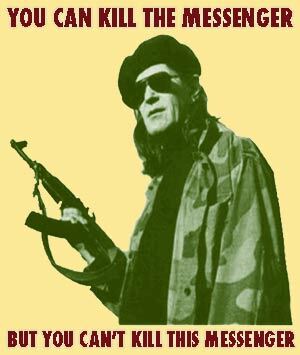 Communists do not in the least idealise the methods of violence. But they, the Communists, do not want to be taken by surprise, they cannot count on the old world voluntarily departing from the stage, they see that the old system is violently defending itself, and that is why the Communists say to the working class : Answer violence with violence; do all you can to prevent the old dying order from crushing you, do not permit it to put manacles on your hands, on the hands with which you will overthrow the old system. As you see, the Communists regard the substitution of one social system for another, not simply as a spontaneous and peaceful process, but as a complicated, long and violent process. Communists cannot ignore facts. Wells: But look at what is now going on in the capitalist world. The collapse is not a simple one; it is the outbreak of reactionary violence which is degenerating to gangsterism. And it seems to me that when it comes to a conflict with reactionary and unintelligent violence, socialists can appeal to the law, and instead of regarding the police as the enemy they should support them in the fight against the reactionaries. I think that it is useless operating with the methods of the old insurrectionary socialism. Stalin: The Communists base themselves on rich historical experience which teaches that obsolete classes do not voluntarily abandon the stage of history. Recall the history of England in the seventeenth century. Did not many say that the old social system had decayed? But did it not, nevertheless, require a Cromwell to crush it by force? Wells: Cromwell acted on the basis of the constitution and in the name of constitutional order. 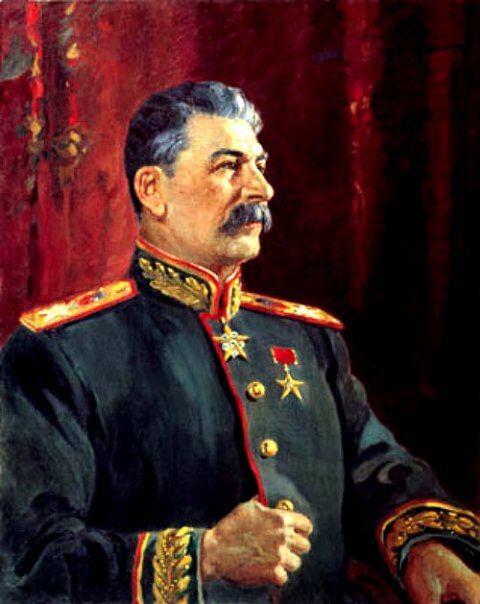 Stalin: In the name of the constitution he resorted to violence, beheaded the king, dispersed Parliament, arrested some and beheaded others! Or take an example from our history. Was it not clear for a long time that the tsarist system was decaying, was breaking down? But how much blood had to be shed in order to overthrow it? And what about the October Revolution? Were there not plenty of people who knew that we alone, the Bolsheviks, were indicating the only correct way out? Was it not clear that Russian capitalism had decayed? 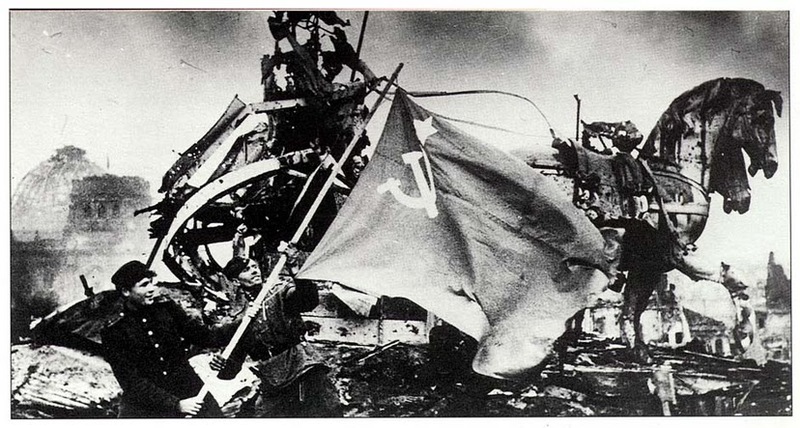 But you know how great was the resistance, how much blood had to be shed in order to defend the October Revolution from all its enemies, internal and external. Or take France at the end of the eighteenth century. Long before 1789 it was clear to many how rotten the royal power, the feudal system was. But a popular insurrection, a clash of classes was not, could not be avoided. Why? Because the classes which must abandon the stage of history are the last to become convinced that their role is ended. It is impossible to convince them of this. They think that the fissures in the decaying edifice of the old order can be repaired and saved. That is why dying classes take to arms and resort to every means to save their existence as a ruling class. Wells: But there were not a few lawyers at the head of the Great French Revolution. Stalin: Do you deny the role of the intelligentsia in revolutionary movements? Was the Great French Revolution a lawyers’ revolution and not a popular revolution, which achieved victory by rousing vast masses of the people against feudalism and championed the interests of the Third Estate? And did the lawyers among the leaders of the Great French Revolution act in accordance with the laws of the old order? Did they not introduce new, bourgeois revolutionary laws? The rich experience of history teaches that up to now not a single class has voluntarily made way for another class. There is no such precedent in world history. The Communists have learned this lesson of history. Communists would welcome the voluntary departure of the bourgeoisie. But such a turn of affairs is improbable; that is what experience teaches. That is why the Communists want to be prepared for the worst and call upon the working class to be vigilant, to be prepared for battle. Who wants a captain who lulls the vigilance of his army, a captain who does not understand that the enemy will not surrender, that he must be crushed? To be such a captain means deceiving, betraying the working class. That is why I think that what seems to you to be old-fashioned is in fact a measure of revolutionary expediency for the working class. first, I am for order; second, I attack the present system in so far as it cannot assure order; third, I think that class war propaganda may detach from socialism just those educated people whom socialism needs. Stalin: In order to achieve a great object, an important social object, there must be a main force, a bulwark, a revolutionary class. 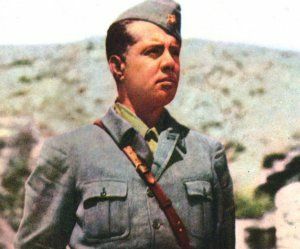 Next it is necessary to organise the assistance of an auxiliary force for this main force; in this case this auxiliary force is the Party, to which the best forces of the intelligentsia belong. Just now you spoke about “educated people.” But what educated people did you have in mind? Were there not plenty of educated people on the side of the old order in England in the seventeenth century, in France at the end of the eighteenth century, and in Russia in the epoch of the October Revolution? The old order had in its service many highly educated people who defended the old order, who opposed the new order. Education is a weapon the effect of which is determined by the hands which wield it, by who is to be struck down. Because there are different kinds of intelligentsia. Wells: There can be no revolution without a radical change in the educational system. It is sufficient to quote two examples: The example of the German Republic, which did not touch the old educational system, and therefore never became a republic; and the example of the British Labour Party, which lacks the determination to insist on a radical change in the educational system. Stalin: That is a correct observation. Permit me now to reply to your three points. First, the main thing for the revolution is the existence of a social bulwark. This bulwark of the revolution is the working class. Second, an auxiliary force is required, that which the Communists call a Party. 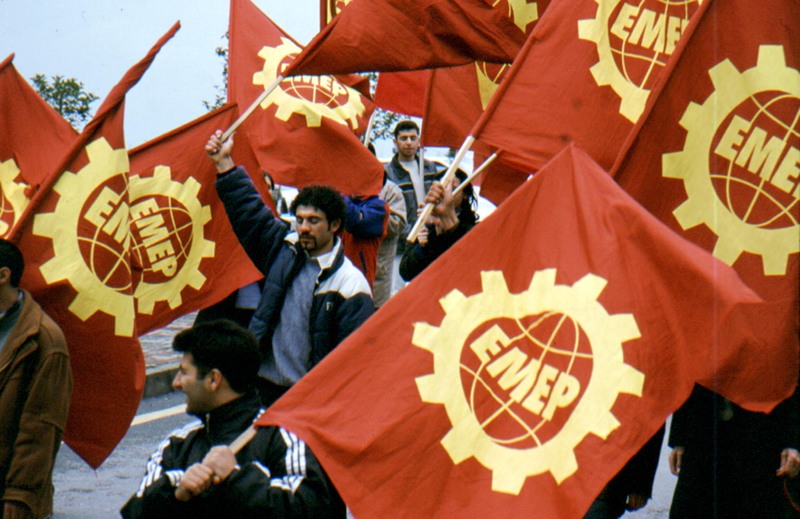 To the Party belong the intelligent workers and those elements of the technical intelligentsia which are closely connected with the working class. The intelligentsia can be strong only if it combines with the working class. If it opposes the working class it becomes a cipher. Third, political power is required as a lever for change. The new political power creates the new laws, the new order, which is revolutionary order. I do not stand for any kind of order. I stand for order that corresponds to the interests of the working class. If, however, any of the laws of the old order can be utilised in the interests of the struggle for the new order, the old laws should be utilised. I cannot object to your postulate that the present system should be attacked in so far as it does not ensure the necessary order for the people. And, finally, you are wrong if you think that the Communists are enamoured of violence. They would be very pleased to drop violent methods if the ruling class agreed to give way to the working class. But the experience of history speaks against such an assumption. Wells: There was a case in the history of England, however, of a class voluntarily handing over power to another class. In the period between 1830 and 1870, the aristocracy, whose influence was still very considerable at the end of the eighteenth century, voluntarily, without a severe struggle, surrendered power to the bourgeoisie, which serves as a sentimental support of the monarchy. Subsequently, this transference of power led to the establishment of the rule of the financial oligarchy. Stalin: But you have imperceptibly passed from questions of revolution to questions of reform. This is not the same thing. Don’t you think that the Chartist movement played a great role in the Reforms in England in the nineteenth century? Wells: The Chartists did little and disappeared without leaving a trace. Chartism played a not unimportant historical role and compelled a section of the ruling classes to make certain concessions, reforms, in order to avert great shocks. Generally speaking, it must be said that of all the ruling classes, the ruling classes of England, both the aristocracy and the bourgeoisie, proved to be the cleverest, most flexible from the point of view of their class interests, from the point of view of maintaining their power. Take as an example, say, from modern history, the general strike in England in 1926. The first thing any other bourgeoisie would have done in the face of such an event, when the General Council of Trade Unions called for a strike, would have been to arrest the trade union leaders. The British bourgeoisie did not do that, and it acted cleverly from the point of view of its own interests. I cannot conceive of such a flexible strategy being employed by the bourgeoisie in the United States, Germany or France. In order to maintain their rule, the ruling classes of Great Britain have never foresworn small concessions, reforms. But it would be a mistake to think that these reforms were revolutionary. Wells: You have a higher opinion of the ruling classes of my country than I have. But is there a great difference between a small revolution and a great reform? Is not a reform a small revolution? Stalin: Owing to pressure from below, the pressure of the masses, the bourgeoisie may sometimes concede certain partial reforms while remaining on the basis of the existing social-economic system. Acting in this way, it calculates that these concessions are necessary in order to preserve its class rule. This is the essence of reform. Revolution, however, means the transference of power from one class to another. That is why it is impossible to describe any reform as revolution. That is why we cannot count on the change of social systems taking place as an imperceptible transition from one system to another by means of reforms, by the ruling class making concessions. Wells: I am very grateful to you for this talk which has meant a great deal to me. In explaining things to me you probably called to mind how you had to explain the fundamentals of socialism in the illegal circles before the revolution. At the present time there are only two persons to whose opinion, to whose every word, millions are listening : you, and Roosevelt. Others may preach as much as they like; what they say will never be printed or heeded. I cannot yet appreciate what has been done in your country; I only arrived yesterday. But I have already seen the happy faces of healthy men and women and I know that something very considerable is being done here. The contrast with 1920 is astounding. Wells: No, if human beings were cleverer. It would be a good thing to invent a five-year plan for the reconstruction of the human brain which obviously lacks many things needed for a perfect social order. 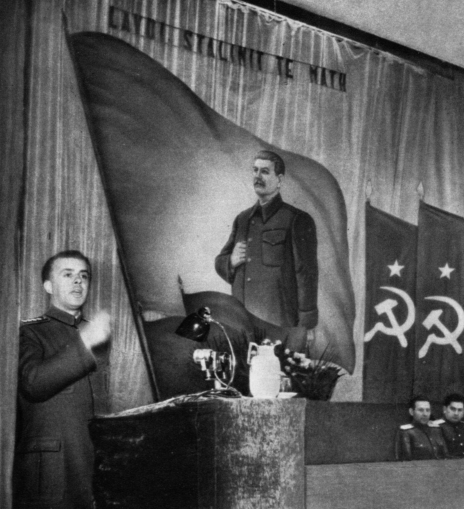 Stalin: Don’t you intend to stay for the Congress of the Soviet Writers’ Union? Wells: Unfortunately, I have various engagements to fulfil and I can stay in the USSR only for a week. I came to see you and I am very satisfied by our talk. But I intend to discuss with such Soviet writers as I can meet the possibility of their affiliating to the PEN club. This is an international organisation of writers founded by Galsworthy; after his death I became president. The organisation is still weak, but it has branches in many countries, and what is more important, the speeches of the members are widely reported in the press. It insists upon this free expression of opinion – even of opposition opinion. I hope to discuss this point with Gorky. I do not know if you are prepared yet for that much freedom here. Stalin: We Bolsheviks call it “self-criticism.” It is widely used in the USSR. If there is anything I can do to help you I shall be glad to do so. 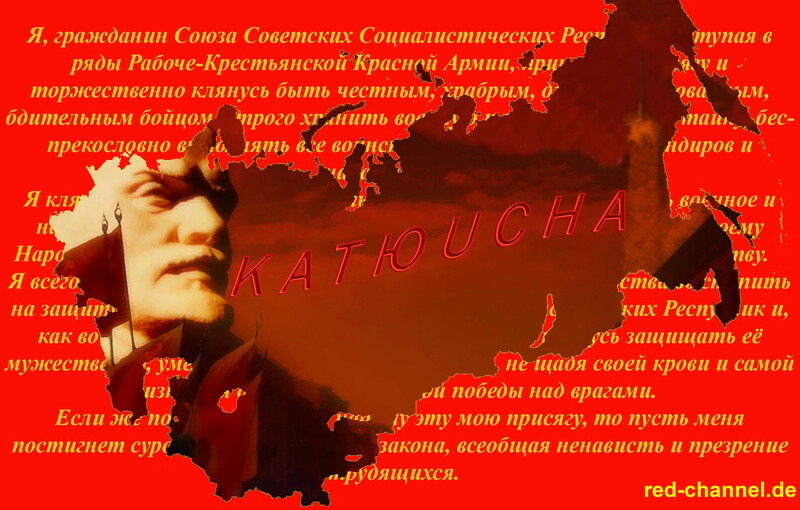 Stalin: If Japan should venture to attack the Mongolian People’s Republic and encroach upon its independence, we will have to help the Mongolian People’s Republic. Stomonyakov, Litvinov’s assistant, recently informed the Japanese ambassador in Moscow of this, and pointed to the immutable friendly relations which the U.S.S.R. has been maintaining with the Mongolian People’s Republic since 1921. We will help the Mongolian People’s Republic just as we helped it in 1921. Stalin: The Japanese, I think, are continuing to concentrate troops on the frontiers of the Mongolian People’s Republic, but no new attempts at frontier conflicts are so far observed. Howard: The Soviet Union appears to believe that Germany and Poland have aggressive designs against the Soviet Union, and are planning military cooperation. Poland, however, protested her unwillingness to permit any foreign troops using her territory as a basis for operations against a third nation. How does the Soviet Union envisage such aggression by Germany? From what position, in what direction would the German forces operate? Stalin: History shows that when any state intends to make war against another state, even not adjacent, it begins to seek for frontiers across which it can reach the frontiers of the state it wants to attack, Usually, the aggressive state finds such frontiers. It either finds them with the aid of force, as was the case in 1914 when Germany invaded Belgium in order to strike at France, or it “borrows” such a frontier, as Germany, for example, did from Latvia in 1918, in her drive to Leningrad. I do not know precisely what frontiers Germany may adapt to her aims, but I think she will find people willing to “lend” her a frontier. Stalin: In my opinion there are two seats of war danger. The first is in the Far East, in the zone of Japan. I have in mind the numerous statements made by Japanese military men containing threats against other powers. The second seat is in the zone of Germany. It is hard to say which is the most menacing, but both exist and are active. Compared with these two principal seats of war danger, the Italian-Abyssinian war is an episode. At present, the Far Eastern seat of danger reveals the greatest activity. However, the centre of this danger may shift to Europe. This is indicated, for example, by the interview which Herr Hitler recently gave to a French newspaper. In this interview Hitler seems to have tried to say peaceful things, but he sprinkled his “peacefulness” so plentifully with threats against both France and the Soviet Union that nothing remained of his “peacefulness.” You see, even when Herr Hitler wants to speak of peace he cannot avoid uttering threats. This is symptomatic. 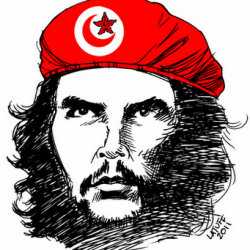 You see, we Marxists believe that a revolution will also take place in other countries. But it will take place only when the revolutionaries in those countries think it possible, or necessary. The export of revolution is nonsense. 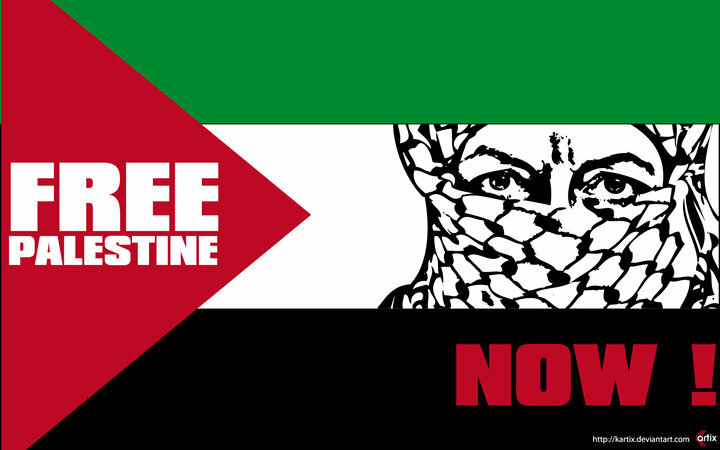 Every country will make its own revolution if it wants to, and if it does not want to, there will be no revolution. For example, our country wanted to make a revolution and made it, and now we are building a new, classless society. But to assert that we want to make a revolution in other countries, to interfere in their lives, means saying what is untrue, and what we have never advocated. Howard: At the time of the establishment of diplomatic relations between the U.S.S.R. and the U.S.A., President Roosevelt and Litvinov exchanged identical notes concerning the question of propaganda. Paragraph four of Litvinov’s letter to President Roosevelt said that the Soviet government undertakes “not to permit the formation or residence on its territory of any organisation or group – and to prevent the activity on its territory of any organisation or group, or of representatives or officials of any organisation or group – which has as its aim, the overthrow, or preparation for the overthrow of, or the bringing about by force of a change in the political or social order of the whole or any part of its territories or possessions.” Why, Mr. Stalin, did Litvinov sign this letter if compliance with the terms of paragraph four is incompatible with the interests of the Soviet Union or beyond its control? According to our constitution, political emigrants have the right to reside on our territory. We provide them with the right of asylum just as the United States gives right of asylum to political emigrants. It is quite obvious that when Litvinov signed that letter he assumed that the obligations contained in it were mutual. Do you think, Mr. Howard, that the fact that there are on the territory of the U.S.A., Russian white guard emigrants who are carrying on propaganda against the Soviets, and in favour of capitalism, who enjoy the material support of American citizens, and who, in some cases, represent groups of terrorists, is contrary to the terms of the Roosevelt-Litvinov agreement? Evidently these emigrants enjoy the right of asylum, which also exists in the United States. As far as we are concerned, we would never tolerate on our territory a single terrorist, no matter against whom his criminal designs were directed. Evidently the right of asylum is given a wider interpretation in the U.S.A. than in our country. But we are not complaining. Perhaps you will say that we sympathize with the political emigrants who come on to our territory. But are there no American citizens who sympathize with the white guard emigrants who carry on propaganda in favour of capitalism and against the Soviets? So what is the point? The point is not to assist these people, not to finance their activities. The point is that official persons in either country must refrain from interfering in the internal life of the other country. Our officials are honestly fulfilling this obligation. If any of them has failed in his duty, let us be informed about it. If we were to go too far and to demand that all the white guard emigrants be deported from the United States, that would be encroaching on the right of asylum proclaimed both in the U.S.A. and in the U.S.S.R. A reasonable limit to claims and counterclaims must be recognised. 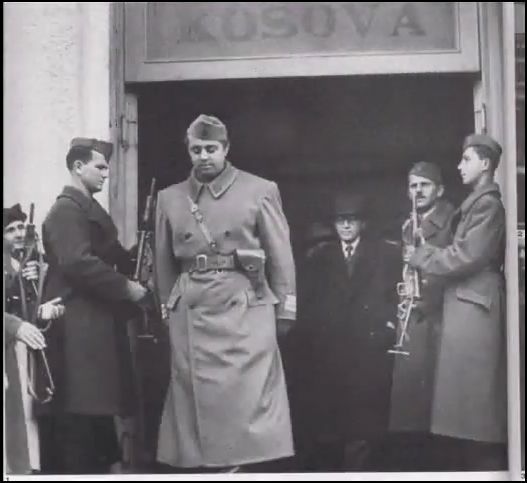 Litvinov signed his letter to President Roosevelt, not in a private capacity, but in the capacity of representative of a state, just as President Roosevelt did. Their agreement is an agreement between two states. In signing that agreement both Litvinov and President Roosevelt, as representatives of two states, had in mind the activities of the agents of their states who must not and will not interfere in the internal affairs of the other side. The right of asylum proclaimed in both countries could not be affected by this agreement. The Roosevelt – Litvinov agreement, as an agreement between the representatives of two states, should be interpreted within these limits. Stalin: I confess I do not remember the speeches of Comrades Browder and Darcy; I do not even remember what they spoke about. Perhaps they did say something of the kind. But it was not Soviet people who formed the American Communist Party. It was formed by Americans. It exists in the U.S.A. legally. It puts up its candidates at elections, including presidential elections. If Comrades Browder and Darcy made speeches in Moscow once, they made hundreds of similar, and certainly stronger speeches at home, in the U.S.A. 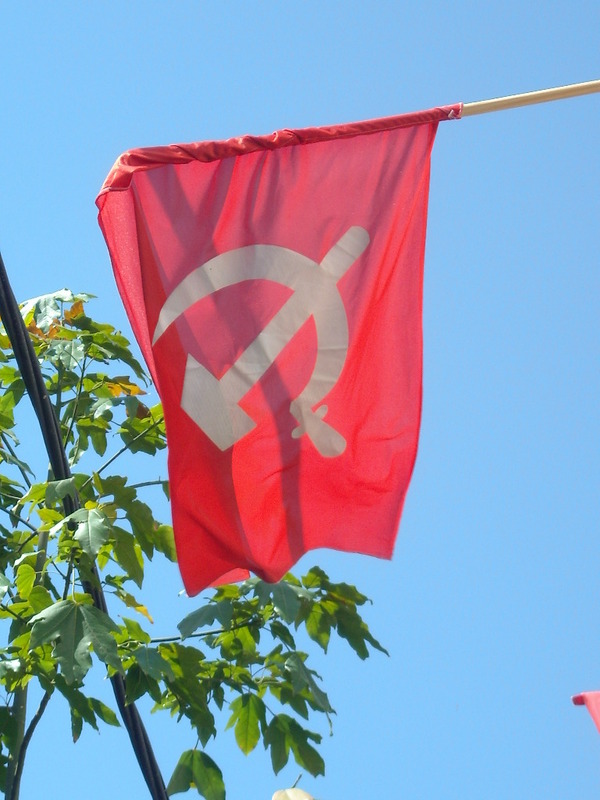 The American Communists are permitted to advocate their ideas freely, are they not? It would be quite wrong to hold the Soviet government responsible for the activities of American Communists. Stalin: What are the activities of the Communist Party; in what way can they manifest themselves? Usually their activities consist in organising the masses of the workers, in organising meetings, demonstrations, strikes, etc. It goes without saying that the American Communists cannot do all this on Soviet territory. We have no American workers in the U.S.S.R.
Howard: Admittedly communism has not been achieved in Russia. State socialism has been built. Have not fascism in Italy and National-Socialism in Germany claimed that they have attained similar results? Have not both been achieved at the price of privation and personal liberty, sacrificed for the good of the state? Stalin: The term “state socialism” is inexact. Many people take this term to mean the system under which a certain part of wealth, sometimes a fairly considerable part, passes into the hands of the state, or under its control, while in the overwhelming majority of cases the works, factories and the land remain the property of private persons. This is what many people take “state socialism” to mean. Sometimes this term covers a system under which the capitalist state, in order to prepare for, or wage war, runs a certain number of private enterprises at its own expense. The society which we have built cannot possibly be called “state socialism.” Our Soviet society is socialist society, because the private ownership of the factories, works, the land, the banks and the transport system has been abolished and public ownership put in its place. The social organisation which we have created may be called a Soviet socialist organisation, not entirely completed, but fundamentally, a socialist organisation of society. The foundation of this society is public property : state, i.e., national, and also co-operative, collective farm property. Neither Italian fascism nor German National-“Socialism” has anything in common with such a society. Primarily, this is because the private ownership of the factories and works, of the land, the banks, transport, etc., has remained intact, and, therefore, capitalism remains in full force in Germany and in Italy. You say that in order t o build our socialist society we sacrificed personal liberty and suffered privation. Your question suggests that socialist society denies personal liberty. That is not true. Of course, in order to build something new one must economize, accumulate resources, reduce one’s consumption for a time and borrow from others. If one wants to build a house one saves up money, cuts down consumption for a time, otherwise the house would never be built. How much more true is this when it is a matter of building a new human society? We had to cut down consumption somewhat for a time, collect the necessary resources and exert great effort. This is exactly what we did and we built a socialist society. But we did not build this society in order to restrict personal liberty but in order that the human individual may feel really free. We built it for the sake of real personal liberty, liberty without quotation marks. It is difficult for me to imagine what “personal liberty” is enjoyed by an unemployed person, who goes about hungry, and cannot find employment. Real liberty can exist only where exploitation has been abolished, where there is no oppression of some by others, where there is no unemployment and poverty, where a man is not haunted by the fear of being tomorrow deprived of work, of home and of bread. Only in such a society is real, and not paper, personal and every other liberty possible. Stalin: American democracy and the Soviet system may peacefully exist side by side and compete with each other. But one cannot evolve into the other. The Soviet system will not evolve into American democracy, or vice versa. We can peacefully exist side by side if we do not find fault with each other over every trifling matter. Stalin: We shall probably adopt our new constitution at the end of this year. The commission appointed to draw up the constitution is working and should finish its labours soon. As has been announced already, according to the new constitution, the suffrage will be universal, equal, direct and secret. You are puzzled by the fact that only one party will come forward at elections. You cannot see how election contests can take place under these conditions. Evidently candidates will be put forward not only by the Communist Party, but by all sorts of public, non-Party organisations. And we have hundreds of these. We have no contending parties any more than we have a capitalist class contending against a working class which is exploited by the capitalists. Our society consists exclusively of free toilers of town and country – workers, peasants, intellectuals. Each of these strata may have its special interests and express them by means of the numerous public organisations that exist. But since there are no classes, since the dividing lines between classes have been obliterated, since only a slight, but not a fundamental, difference between various strata in socialist society has remained, there can be no soil for the creation of contending parties. Where there are not several classes there cannot be several parties, for a party is part of a class. Under National-“Socialism” there is also only one party. But nothing will come of this fascist one party system. 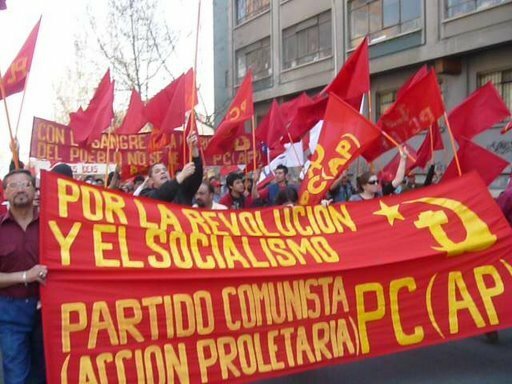 The point is that in Germany, capitalism and classes have remained, the class struggle has remained and will force itself to the surface in spite of everything, even in the struggle between parties which represent antagonistic classes, just as it did in Spain, for example. In Italy there is also only one party, the Fascist Party. But nothing will come of it there for the same reasons. Why direct? Because direct elections to all representative institutions, right up to the supreme bodies, will best of all safeguard the interests of the toilers of our boundless country. You think that there will be no election contests. But there will be, and I foresee very lively election campaigns. There are not a few institutions in our country which work badly. Cases occur when this or that local government body fails to satisfy certain of the multifarious and growing requirements of the toilers of town and country. Have you built a good school or not? Have you improved housing conditions? Are you a bureaucrat? Have you helped to make our labour more effective and our lives more cultured? Such will be the criteria with which millions of electors will measure the fitness of candidates, reject the unsuitable, expunge their names from candidates’ lists, and promote and nominate the best. Yes, election campaigns will be very lively, they will be conducted around numerous, very acute problems, principally of a practical nature, of first class importance for the people. Our new electoral system will tighten up all institutions and organisations and compel them to improve their work. Universal, direct and secret suffrage in the U.S.S.R. will be a whip in the hands of the population against the organs of government which work badly. In my opinion our new Soviet constitution will be the most democratic constitution in the world. 1st Question: Certain circles in America are intensely discussing at the present time the possibility of Bending to Moscow an unofficial American trade representative, accompanied by a staff of specialists, for promoting the establishment of closer trade connections between the United States and the USSR What would be the attitude of the Soviet Government to such a proposal? Stalin: In general, the USSR gladly receives trade representatives and specialists of countries which maintain normal relations with it. As regards the USA, I believe the Soviet Government would look favorably upon such an undertaking. 2nd Question: If certain of the obstacles existing on the other side of the Atlantic Ocean to an expansion of Soviet-American trade were removed, what would be the approximate volume of orders that the USSR would be in a position to place in the United States? Stalin: It is difficult to name a figure in advance without the risk of making a mistake. In any event the growing requirements of the USSR and the vast possibilities of the industry of the USA fully warrant the belief that the volume of orders would increase several times over. 3rd Question: Certain responsible circles in the USA are under the quite definite impression that obvious similarity has been revealed in the reaction of the Soviet and the American Governments to events in the Far East during the last seven months, and that in general as a consequence of this the divergence in policy between the Soviets and America has become less than hitherto. What is your opinion in this regard? Stalin: It is impossible to say anything definite, since unfortunately it is very difficult to grasp the essentials of the Far Eastern policy of the USA As far as the Soviet Union is concerned, it has adhered, and will continue to adhere, to a firm policy of maintaining peace both with Japan and with Manchuria and China as a whole. 4th Question: There is a great difference between your country and mine, but there is also obvious similarity. Each occupies a vast territory in which there are no such obstacles to trade as tariff barriers. Stupid traditions, of course, interfere less with economic activity in the USSR and the United States than in other first-rate powers. The process of industrialization in the USSR is more like the same process in the United States than that in other West-European Powers. In my preceding question I already indicated that in some cases policy in Moscow and Washington is not so much at variance as might have been expected. Lastly, there is undoubtedly a deep friendly feeling between the American and Soviet peoples despite all the obvious difference between them. In view of these facts, would it not be possible to inspire the conviction in the minds of both peoples that no armed clash between the two countries should ever under any circumstances be allowed to occur? Stalin: There can be nothing easier than to convince the peoples of both countries of the harm and criminal character of mutual extermination. But, unfortunately, questions of war and peace are not always decided by the peoples. I have no doubt that the masses of the people of the USA did not want war with the peoples of the USSR in 1918-19. This, however, did not prevent the USA Government from attacking the USSR in 1918 (in conjunction with Japan, Britain and France) and from continuing its military intervention against the USSR right up to 1919. As for the USSR, proof is hardly required to show that what its peoples as well as its government want is that “no armed clash between the two countries should ever under any circumstances” be able to occur. 5th Question: Contradictory reports have been spread in America concerning the real nature of the Second Five-Year Plan. Is it true that between January 1, 1933, and the end of 1937 the daily needs of the Soviet population will be satisfied to a greater extent than hitherto? In other words, will light industry really develop to a greater extent than before? Stalin: Yes, light industry will develop to a much greater extent than before. Ludwig: I am extremely obliged to you for having found it possible to receive me. For over twenty years I have been studying the lives and deeds of outstanding historical personages. I believe I am a good judge of people, but on the other hand I know nothing about social-economic conditions. Stalin: You are being modest. Ludwig: No, that is really so, and for that very reason I shall put questions that may seem strange to you. Today, here in the Kremlin, I saw some relies of Peter the Great and the first question I should like to ask you is this: Do you think a parallel can be drawn between yourself and Peter the Great? Do you consider yourself a continuer of the work of Peter the Great? Stalin: Yes, of course, Peter the Great did much to elevate the landlord class and develop the nascent merchant class. He did very much indeed to create and consolidate the national state of the landlords and merchants. It must he said also that the elevation of the landlord class, the assistance to the nascent merchant Class and the consolidation of the national state of these classes took place at the cost of the peasant serfs, who were bled white. As for myself, I am just a pupil of Lenin’s, and the aim of my life is to be a worthy pupil of his. The task to which I have devoted my life is the elevation of a different class-the working class. That task is not the consolidation of some “national” state, but of a socialist state, and that means an international state; and everything that strengthens that state helps to strengthen the entire international working class. If every step I take in my endeavor to elevate the working class and strengthen the socialist state of this class were not directed towards strengthening and improving the position of the working class, I should consider my life purposeless. So you see your parallel does not fit. As regards Lenin and Peter the Great, the latter was hut a drop in the sea, whereas Lenin was a whole ocean. Ludwig: Marxism denies that the individual plays an outstanding role in history. Do you not see a contradiction between the materialist conception of history and the fact that, after all, you admit the outstanding role played by historical personages? Stalin: No, there is no contradiction here. Marxism does not at all deny the role played by outstanding individuals or that history is made by people. In Marx’s The Poverty of Philosophy and in other works of his you will find it stated that it is people who make history. But, of course, people do not make history according to the promptings of their imagination pr as some fancy strikes them. Every new generation encounters definite conditions already existing, ready-made when that generation was born. And great people are worth anything at all only to the extent that they are able correctly to understand these conditions, to understand how to change them. If they fail to understand these conditions and want to alter them according to the promptings of their imagination, they will land themselves in the situation of Don Quixote. 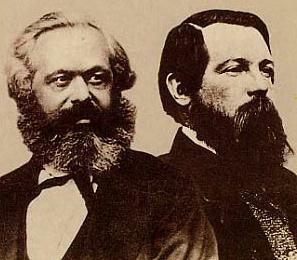 Thus it is precisely Marx’s view that people must not be counterposed to conditions. It is people who make history, but they do so only to the extent that they correctly understand the conditions that they have found ready-made, and only to the extent that they understand how to change those conditions. That, at least, is how we Russian Bolsheviks understand Marx. And we have been studying Marx for a good many years. Ludwig: Some thirty years ago, when I was at the university, many German professors who considered themselves adherents of the materialist conception of history taught us that Marxism denies the role of heroes, the role of heroic personalities in history. 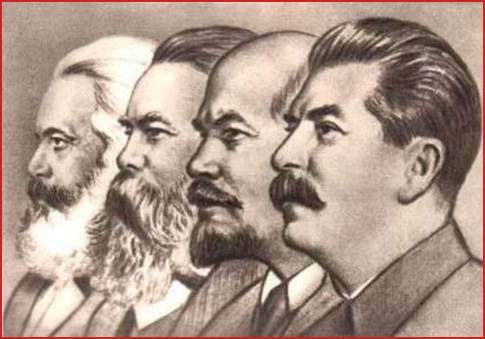 Stalin: They were vulgarizers of Marxism. Marxism has never denied the role of heroes. On the contrary, it admits that they play a considerable role, hut with the reservations I have just made. Ludwig: Sixteen chairs are placed around the table at which we are seated. Abroad people know, on the one hand, that the USSR is a country in which everything must he decided collectively, but they know, on the other hand, that everything is decided by individual persons. Who really does decide? Stalin: No, individual persons cannot decide. Decisions of individuals are always, or nearly always, one-sided decisions. In every collegium, in every collective body, there are people whose opinion must be reckoned with. In every collegium, in every collective body, there are people who may express wrong opinions. From the experience of three revolutions we know that out of every 100 decisions taken by individual persons without being tested and corrected collectively, approximately 90 are one-sided. In our leading body, the Central Committee of our Party, which directs all our Soviet and Party organizations, there are about 70 members. Among these 70 members of the Central Committee are our best industrial leaders, our best co-operative leaders, our best managers of supplies, our best military men, our best propagandists and agitators, our best experts on state farms, on collective farms, on individual peasant farms, our best experts on the nations constituting the Soviet Union and on national policy. In this areopagus is concentrated the wisdom of our Party. Each has an opportunity of correcting anyone’s individual opinion or proposal. Each has an opportunity of contributing his experience. If this were not the case, if decisions were taken by individual persons, there would he very serious mistakes in our work. But since each has an opportunity of correcting the mistakes of individual persons, and since we pay heed to such corrections, we arrive at decisions that are more or less correct. Ludwig: You have had decades of experience of illegal work. You have had to transport illegally arms, literature, and so forth. Do you not think that the enemies of the Soviet regime might learn from your experience and fight the Soviet regime with the same methods? Stalin: That, of course, is quite possible. Ludwig: Is that not the reason for the severity and ruthlessness of your government in fighting its enemies? Stalin: No, that is not the chief reason. One could quote certain examples from history. When the Bolsheviks came to power they at first treated their enemies mildly. The Mensheviks continued to exist legally and publish their newspaper. 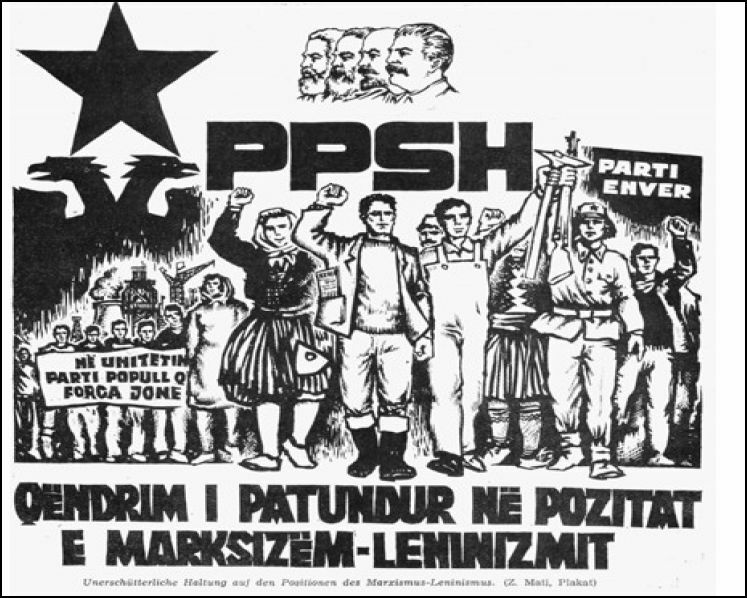 The Socialist Revolutionaries also continued to exist legally and had their newspaper. Even the Cadets continued to publish their newspaper. When General Krasnov organized his counter-revolutionary campaign against Leningrad and fell into our hands, we could at least have kept him prisoner, according to the rules of war. Indeed, we ought to have shot him. But we released him on his “word of honor.” And what happened? 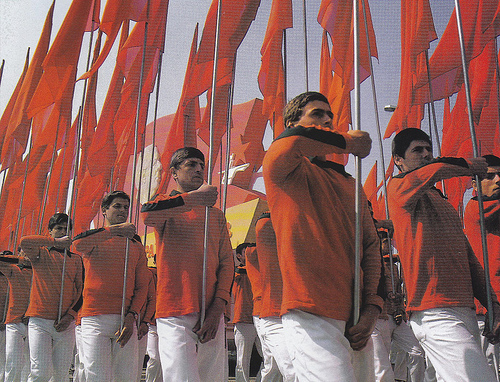 It soon became clear that such mildness only helped to undermine the strength of the Soviet Government. We made a mistake in displaying such mildness towards enemies of the working class. To have persisted in that mistake would have been a crime against the working class and a betrayal of its interests. That soon became guile apparent. Very soon it became evident that the milder our attitude towards our enemies, the greater their resistance. 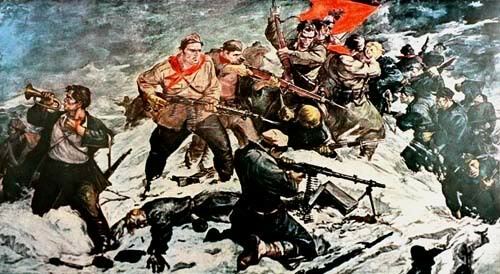 Before long the Right Socialist-Revolutionaries—Golz and others—and the Right Mensheviks were organizing in Leningrad a counter-revolutionary action of the military cadets, as a result of which many of our revolutionary sailors perished. This very Krasnov, whom we had released on his “word of honor,” organized the whiteguard Cossacks. 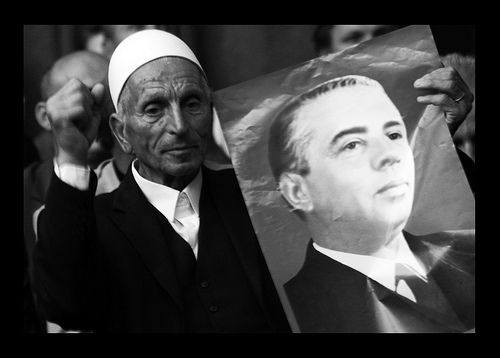 He joined forces with Mamontov and for two years waged an armed struggle against the Soviet Government. Very soon it turned out that behind the whiteguard generals stood the agents of the western capitalist states—France, Britain, America—and also Japan. We became convinced that we had made a mistake in displaying mildness. We learnt from experience that the only way to deal with such enemies is to apply the most ruthless policy of suppression to them. Ludwig: It seems to me that a considerable part of the population of the Soviet Union stands in fear and trepidation of the Soviet power, and that the stability of the latter rests to a certain extent on that sense of fear. I should like to know what state of mind is produced in you personally by the realization that it is necessary to inspire fear in the interests of strengthening the regime. After all, when you associate with your comrades, your friends, you adopt quite different methods than those of inspiring fear. Yet the population is being inspired with fear. Stalin: You are mistaken. Incidentally, your mistake is that of many people. 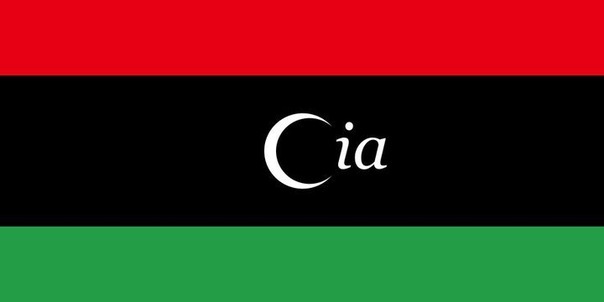 Do you really believe that we could have retained power and have had the backing of the vast masses for 14 years by methods of intimidation and terrorization? No, that is impossible. The tsarist government excelled all others in knowing how to intimidate. It had long and vast experience in that sphere. The European bourgeoisie, particularly the French, gave tsarism every assistance in this matter and taught it to terrorize the people. Yet, in spite of that experience and in spite of the help of the European bourgeoisie, the policy of intimidation led to the downfall of Tsarism. Ludwig: But the Romanovs held on for 300 years. Stalin: Yes, hut how many revolts and uprisings there were during those 300 years! There was the uprising of Stepan Razin, the uprising of Yemelyan Pugachov, the uprising of the Decemberists, the revolution of 1905, the revolution of February 1917, and the October Revolution. That is apart from the fact that the present-day conditions of political and cultural life in the country are radically different from those of the old regime, when the ignorance, lack of culture, submissiveness and political downtroddenness of the masses enabled the “rulers” of that time to remain in power for a more or less prolonged period. As regards the people, the workers and peasants of the USSR, they are not at all so tame, so submissive and intimidated as you imagine. There are many people in Europe whose ideas about the people of the USSR are old-fashioned: they think that the people living in Russia are, firstly, submissive and, secondly, lazy. That is an antiquated and radically wrong notion. It arose in Europe in those days when the Russian landlords began to flock to Paris, where they squandered the loot they had amassed and spent their days in idleness. These were indeed spineless and worthless people. That gave rise to conclusions about “Russian laziness.” But this cannot in the least apply to the Russian workers and peasants, who earned and still earn their living by their own labor. It is indeed strange to consider the Russian peasants and workers submissive arid lazy when in a brief period of time they made three revolutions, smashed tsarism and the bourgeoisie, and are now triumphantly building socialism. Just now you asked me whether everything in our Country was decided by one person. Never under any circumstances would our workers now tolerate power in the hands of one person. With us personages of the greatest authority are reduced to nonentities, become mere ciphers, as soon as the masses of the workers lose confidence in them, as soon as they lose contact with the masses of the workers. Plekhanov used to enjoy exceptionally great prestige. And what happened? As soon as he began to stumble politically the workers forgot him. They forsook him and forgot him. Another instance: Trotsky. His prestige too was great, although, of course, it was nothing like Plekhanov’s. What happened? As soon as he drifted away from the workers they forgot him. Stalin: They remember him sometimes—but with bitterness. Ludwig: All of them with bitterness? Stalin: As far as our workers are concerned, they remember Trotsky with bitterness, with exasperation, with hatred. There is, of course, a certain small section of the population that really does stand in fear of the Soviet power, and fights against it. I have in mind the remnants of the moribund classes, which are being eliminated, and primarily that insignificant part of the peasantry, the kulaks. But here it is a matter not merely of a policy of intimidating these groups, a policy that really does exist. Everybody knows that in this ease we Bolsheviks do not confine ourselves to intimidation but go further, aiming at the elimination of this bourgeois stratum. But if you take the laboring population of the USSR, the workers and the laboring peasants, who represent not less than 40 per cent of the population, you will find that they are in favor of Soviet power and that the vast majority of them actively support the Soviet regime. 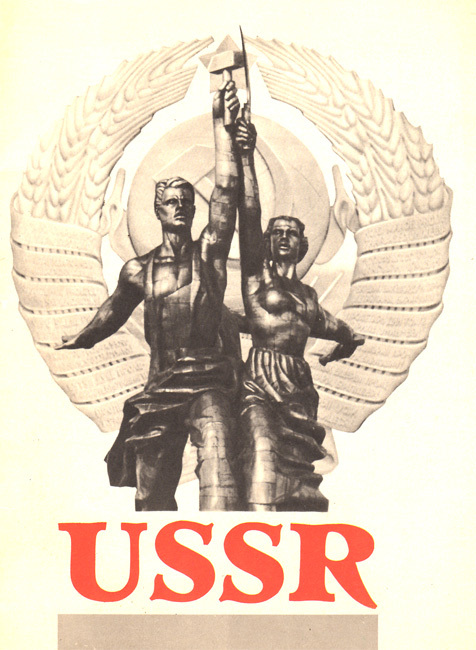 They support the Soviet system because that system serves the fundamental interests of the workers and peasants. That, and not a policy of so-called intimidation, is the basis of the Soviet Government’s stability. Ludwig: I am very grateful to you for that answer. I beg you to forgive me if I ask you a question that may appear to you a strange one. Your biography contains instances of what may be called acts of “highway robbery. Were you over interested in the personality of Stepan Razin? What is your attitude towards him as an “ideological highwayman”? 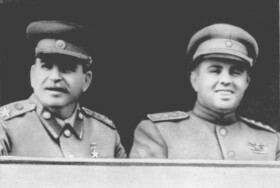 Stalin: We Bolsheviks have always taken an interest in such historical personalities as Bolotnikov, Razin, Pugachov, and so on. We regard the deeds of these individuals as a reflection of the spontaneous indignation of the oppressed classes, of the spontaneous rebellion of the peasantry against feudal oppression. The study of the history of these first attempts at such revolt on the part of the peasantry has always been of interest to us. But, of course, no analogy can be drawn here between them and the Bolsheviks. Sporadic peasant uprisings, even when not of the “highway robber” and unorganized type, as in the case of Stepan Razin, cannot lead to anything of importance. Peasant uprisings can be successful only if they are combined with uprisings of the workers and if they are led by the workers. Only a combined uprising headed by the working class can achieve its aim. Moreover, it must never be forgotten that Razin and Pugachov were tsarists: they came out against the landlords, hut were in favor of a “good tsar.” That indeed was their slogan. As you see, it is impossible to draw an analogy here with the Bolsheviks. Ludwig: Allow me to put a few questions to you concerning your biography. When I went to see Masaryk he told me he was conscious of being a Socialist when only six years old. What made you a Socialist and when was that? Stalin: I cannot assert that I was already drawn to socialism at the age of six. Not even at the age of ten or twelve. 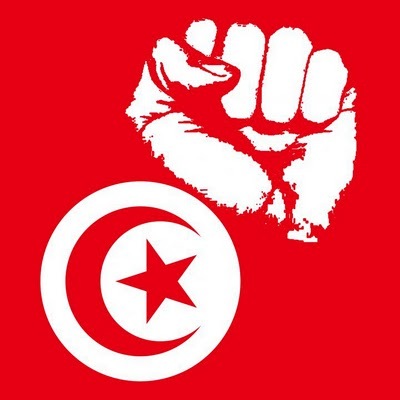 I joined the revolutionary movement when fifteen years old, when I became connected with underground groups of Russian Marxists then living in Transcaucasia. 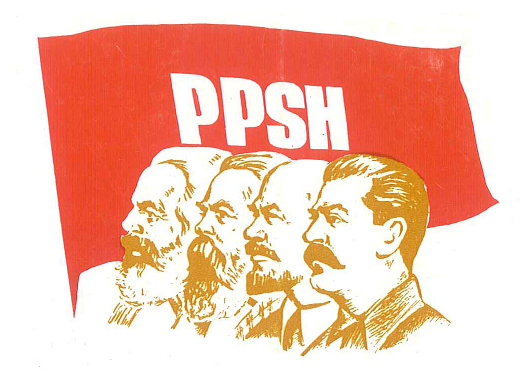 These groups exerted great influence on me and instilled in me a taste for underground Marxist literature. Stalin: Yes, they are systematic and persevering in working to achieve sordid ends. Hut their principal method is spying, prying, worming their way into people’s souls and outraging their feelings. What good can there be in that? For instance, the spying in the hostel. At nine o’clock the bell rings for morning tea, we go to the dining-room, and when we return to our rooms we find that meantime a search has been made and all our chests have been ransacked…. What good point can there be in that? Ludwig: I notice that in the Soviet Union everything American is held in very high esteem, I might even speak of a worship of everything American, that is, of the Land of the Dollar, the most out-and-out capitalist country. This sentiment exists also in your working class, and applies not only to tractors and automobiles, but also to Americans in general. How do you explain that? Stalin: You exaggerate. We have no especially high esteem for everything American, nut we do respect the efficiency that the Americans display in everythingÑin industry, in technology, in literature and in life. We never forget that the U.S.A. is a capitalist country. But among the Americans there are many people who are mentally and physically healthy who are healthy in their whole approach to work, to the job on hand. That efficiency, that simplicity, strikes a responsive chord in our hearts. Despite the fact that America is a highly developed capitalist country, the habits prevailing in its industry, the practices existing in productive processes, have an element of democracy about them, which cannot be said of the old European capitalist countries, where the haughty spirit of the feudal aristocracy is still alive. Ludwig: You do not even suspect how right you are. Stalin: Maybe I do; who can tell? In spite of the fact that feudalism as a social order was demolished long ago in Europe, considerable relies survive in manner of life and customs. There are still technicians, specialists, scientists and writers who have sprung from the feudal environment and who carry aristocratic habits into industry, technology, science and literature. Feudal traditions have not been entirely demolished. 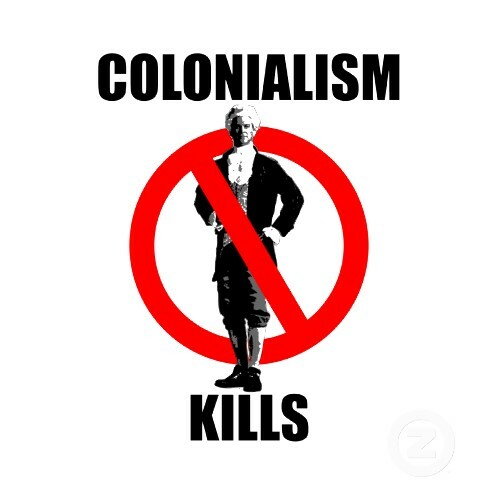 That cannot be said of America, which is a country of “free colonists,” without landlords and without aristocrats. Hence the sound and comparatively simple habits in American productive life. Our business executives of working-class origin who have visited America at once noted this trait. They relate, not without a certain agreeable surprise, that on a production job in America it is difficult to distinguish an engineer from a worker by outward appearance. That pleases them, of course. But matters are quite different in Europe. But if we are going to speak of our liking for a particular nation, or rather, for the majority of its citizens, then of course we must not fail to mention our liking for the Germans. Our liking for the Americans cannot he compared to that! Ludwig: It has recently been noticed that certain German politicians are seriously afraid that the traditional policy of friendship between the USSR and Germany will be pushed into the background. These fears have arisen in connection with the negotiations between the USSR and Poland. Should the recognition of Poland’s present frontiers by the USSR become a fact as a result of these negotiations it would spell bitter disappointment for the entire German people, who have hitherto believed that the USSR is fighting the Versailles system and has no intention of recognizing it. Ludwig: I know that a certain dissatisfaction and alarm may he noticed among some German statesmen on the grounds that the Soviet Union, in its negotiations or in some treaty with Poland, may take some step that would imply on the part of the Soviet Union a sanction, a guarantee, for Poland’s possessions and frontiers. In my opinion such fears are mistaken. We have al- ways declared our readiness to conclude a non-aggression pact with any state. We have already concluded such pacts with a number of countries. We have openly declared our readiness to sign such a pact with Poland, too. When we declare that we are ready to sign a pact of non-aggression with Poland, this is not mere rhetoric. It means that we really want to sign such a pact. We are politicians of a special brand if you like. There are politicians who make a promise or statement one day, and on the next either forget all about it or deny what they stated, and do so without even blushing. We cannot act in that way. Whatever we do abroad inevitably becomes known inside our country, becomes known to all the workers and peasants. If we said one thing and did another, we should forfeit our prestige among the masses of the people. As soon as the Poles declared that they were ready to negotiate a non-aggression pact with us, we naturally agreed and opened negotiations. What, from the Germans’ point of view, is the most dangerous thing that could happen? A change for the worse in our relations with them. But there is no basis whatever for that. We, exactly like the Poles, must declare in the pact that we will not use force or resort to aggression in order to change the frontiers of Poland or the USSR, or violate their independence. Just as we make such a promise to the Poles, so they make the same promise to us. Without such a clause, namely, that we do not intend to go to war for the purpose of violating the independence or integrity of the frontiers of our respective states, no pact can he concluded. Without that a pact is out of the question. That is the most that we can do. Is this recognition of the Versailles system? No. 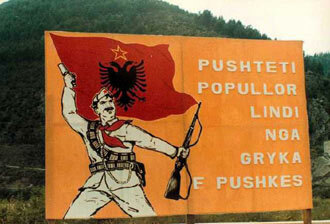 Or is it, perhaps, a guaranteeing of frontiers? No. We never have been guarantors of Poland and never shall become such, just as Poland has not been and will not be a guarantor of our frontiers. Our friendly relations with Germany will continue as hitherto. That is my firm conviction. Therefore, the fears you speak of are wholly without foundation, They have arisen on the basis of rumors spread by some Poles and Frenchmen. 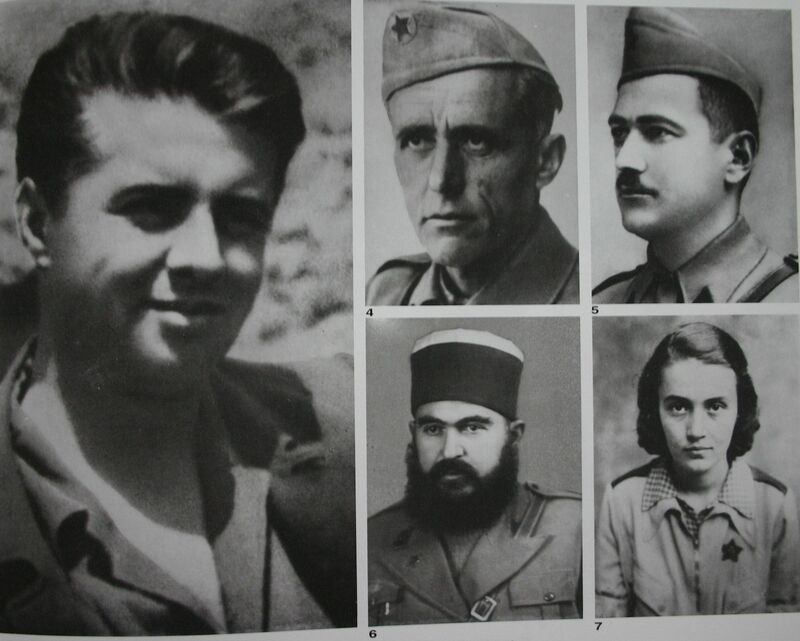 They will disappear when we publish the pact, if Poland signs it. Everyone will then see that it contains nothing against Germany. Ludwig: I am very thankful to you for that statement. Allow me to ask you the following question: You speak of “wage equalization,” giving the term a distinctly ironical shade of meaning in relation to general equalization. But, surely, general equalization is a socialist ideal. Stalin: The kind of socialism under which everybody would get the same pay, an equal quantity of meat and an equal quantity of bread, would wear the same clothes and receive the same goods in the same quantities—such a socialism is unknown to Marxism. All that Marxism says is that until classes have been finally abolished and until labor has been transformed from a means of subsistence into the prime want of man, into voluntary labor for society, people will be paid for their labor according to the work performed. “From each according to his ability, to each according to his work.” Such is the Marxist formula of socialism, i.e., the formula of the first stage of communism, the first stage of communist society. Ludwig: You are smoking a cigarette. 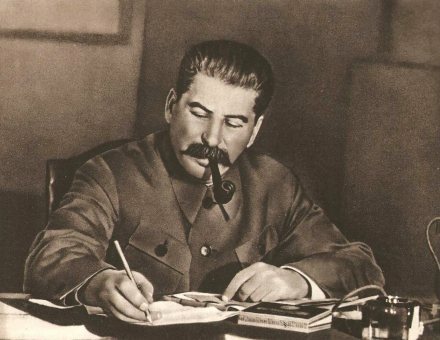 Where is your legendary pipe, Mr. Stalin? You once said that words and legends pass, but deeds remain. Now believe me, there are millions of people abroad who do not know about some of your words and deeds, but who do know about your legendary pipe. Stalin: I left my pipe at home. Ludwig: I shall now ask you a question that may astonish you greatly. Stalin: We Russian Bolsheviks have long ceased to be astonished at anything. Ludwig: Yes, and we in Germany too. Stalin: Yes, you in Germany will soon stop being astonished. Ludwig: My question is the following: You have often incurred risks and dangers. You have been persecuted. You have taken part in battles. A number of your close friends have perished. You have survived. How do you explain that? And do you believe in fate? Stalin: No, I do not. Bolsheviks, Marxists, do not believe in “fate.” The very concept of fate, of “Schieksal,” is a prejudice, an absurdity, a relic of mythology, like the mythology of the ancient Greeks, for whom a goddess of fate controlled the destinies of men. Ludwig: That is to say that the fact that you did not perish is an accident? Stalin: There are internal and external causes, the combined effect of which was that I did not perish. But entirely independent of that, somebody else could have been in my place, for somebody had to occupy it. “Fate” is something not governed by natural law, something mystical. I do not believe in mysticism. Of course, there were reasons why danger left me unscathed. But there could have been a number of other fortuitous circumstances, of other causes, which could have led to a directly opposite result. So-called fate has nothing to do with it. Ludwig: Lenin passed many years in exile abroad. You had occasion to be abroad for only a very short time. Do you consider that this has handicapped you? Who do you believe were of greater benefit to the revolution—those revolutionaries who lived in exile abroad and thus had the opportunity of making a thorough study of Europe, but on the other hand were cut off from direct contact with the people; or those revolutionaries who carried on their work here, knew the moods of the people, but on the other hand knew little of Europe? Stalin: Lenin must be excluded from this comparison. Very few of those who remained in Russia were as intimately connected with the actual state of affairs there and with the labor movement within the country as Lenin was, although he was a long time abroad. Whenever I went to see him abroad—in 1906, 1907, 1912 and 1913—I saw piles of letters he had received from practical Party workers in Russia, and he was al- ways better informed than those who stayed in Russia. He always considered his stay abroad to be a burden to him. There are many more comrades in our Party and its leadership who remained in Russia, who did not go abroad, than there are former exiles, and they, of course, were able to be of greater benefit to the revolution than those who were in exile abroad. Actually few former exiles are left in our Party. They may add up to about one or two hundred out of the two million members of the Party. Of the seventy members of the Central Committee scarcely more than three or four lived in exile abroad. As far as knowledge of Europe, a study of Europe, is concerned, those who wished to make such a study had, of course, more opportunities of doing so while living there. In that respect those of us who did not live long abroad lost something. But living abroad is not at all a decisive factor in making a study of European economies, technique, the cadres of the labor movement and literature of every description, whether belies letters or scientific. Other things being equal, it is of course easier to study Europe on the spot. But the disadvantage of those who have not lived in Europe is not of much importance. On the contrary, I know many comrades who were abroad twenty years, lived somewhere in Charlottenburg or in the Latin Quarter, spent years in cafes drinking beer, and who yet did not manage to acquire a knowledge of Europe and failed to understand it. Ludwig: Do you not think that among the Germans as a nation love of order is more highly developed than love of freedom? Stalin: There was a time when people in Germany did indeed show great respect for the law. In 1907, when I happened to spend two or three months in Berlin, we Russian Bolsheviks often used to laugh at some of our German friends on account of their respect for the law. There was, for example, a story in circulation about an occasion when the Berlin Social-Democratic Executive fixed a definite day and hour for a demonstration that was to be attended by the members of all the suburban organizations. A group of about 200 from one of the suburbs arrived in the city punctually at the hour appointed, but failed to appear at the demonstration, the reason being that they had waited two hours on the station platform because the ticket collector at the exit had failed to make his appearance and there had been nobody to give their tickets to. It used to be said in jest that it took a Russian comrade to show the Germans a simple way out of their fix: to leave the platform without giving up their tickets…. But is there anything like that in Germany now? Is there respect for the law in Germany today? What about the National Socialists, who one would think ought to be the first to stand guard over bourgeois legality? Do they not break the law, wreck workers’ clubs and assassinate workers with impunity? I make no mention of the workers, who, it seems to me, long ago lost all respect for bourgeois legality. Yes, the Germans have changed quite a bit lately. Ludwig: Under what conditions is it possible to unite the working Glass finally and completely under the leadership of one party? Why is such a uniting of the working class possible only after the proletarian revolution, as the Communists maintain? Stalin: Such a uniting of the working Class around the Communist Party is most easily accomplished as the result of a victorious proletarian revolution. But it will undoubtedly be achieved in the main even before the revolution. Ludwig: Does ambition stimulate or hinder a great historical figure in his activities? Stalin: The part played by ambition differs under different conditions. Ambition may he a stimulus or a hindrance to the activities of a great historical figure. It all depends on circumstances. More often than not it is a hindrance. Ludwig: Is the October Revolution in any sense the continuation and culmination of the Great French Revolution? 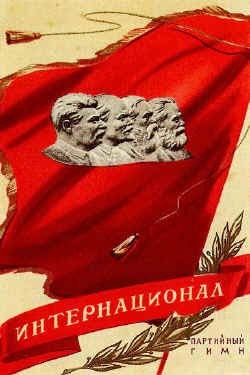 Stalin: The October Revolution is neither the continuation nor the culmination of the Great French Revolution. The purpose of the French Revolution was to abolish feudalism in order to establish capitalism. The purpose of the October Revolution, however, is to abolish capitalism in order to establish socialism. A book in English entitled Russia — Market or Menace? written by Mr. Campbell, a well-known figure in the agricultural world, who had visited the USSR, recently made its appearance in America. In this book Mr. Campbell, among other things, gives an account of what he calls an “interview” with Stalin that took place in Moscow in January 1929. This “interview” is remarkable for the fact that its every sentence is either pure fiction or a sensational piece of trickery with the aim of gaining publicity for the book and its author. It will not be amiss, in my opinion, to say a few words in order to expose these fictitious statements. Mr. Campbell is obviously drawing on his imagination when he says that his talk with Stalin, which began at 1 p.m., “lasted until well after dark, in fact, until dawn.” Actually, the talk did not last more than two hours. Mr. Campbell’s imagination is truly American. Mr. Campbell is stretching the truth when he asserts that Stalin “took my hand in both of his and said: ‘we can be friends. '” As a matter of fact, nothing of the kind happened or could have happened. Mr. Campbell cannot but know that Stalin has no need of “friends” of the Campbell type. Mr. Campbell again stretches the truth when he says that on sending him a record of the talk, I added the postscript: “Keep this record, it may be a very historical document some day… As a matter of fact the record was sent to Mr. Campbell by the translator Yarotsky without any postscript at all. Mr. Campbell’s desire to make capital out of Stalin obviously betrays him. Mr. Campbell still further stretches the truth when he puts such words into the mouth of Stalin as that “under Trotsky there had been an attempt to spread communism throughout the world; that this was the primary cause of the break between hirnself [i.e., Stalin] and Trotsky; that Trotsky believed in universal communism, while he [Stalin] worked to confine his efforts to his own country.” Only people who have deserted to the camp of the Kautskys and the Welses can believe such stuff and nonsense, in which the facts are turned upside-down. As a matter of fact, the talk with Campbell had no bearing on the Trotsky question and Trotsky’s name was not mentioned at all in the course of it. And so on in the same strain. Mr. Campbell mentioned in his book the record of his talk with Stalin but he did not find it necessary to publish it in his book. Why? Was it not because publication of the record would have upset Mr. Campbell’s plan to utilize the sensational fables about the “interview” with Stalin in order to gain publicity for Campbell’s book among the American philistines? I think the best punishment for the lying Mr. Campbell would he to publish the record of the talk between Mr. Campbell and Stalin. This would be the surest means of exposing his lies and establishing the facts. After an exchange of preliminary phrases Mr. Campbell explained his desire to pay a visit to Stalin. He pointed out that although he was in the USSR in a private capacity, he had, before leaving the United States, seen Coolidge and also Hoover, the newly elected President, and received their full approval of his trip to Russia. His stay here showed him the amazing activity of the nation that has remained an enigma to the whole world. 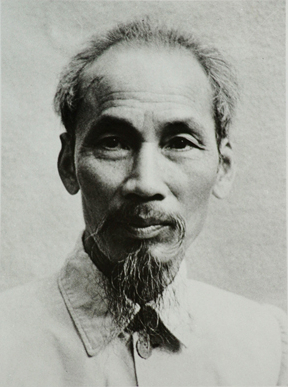 He particularly liked the projects for the development of agriculture. He knew of the existence of many wrong notions about Russia, but had himself been in the Kremlin, for instance, and had seen the work being done to preserve memorials of art and in general to raise the level of cultural life. He was particularly struck by the solicitude for working men and working women. It seemed to him an interesting coincidence that before his departure from the United States he was invited by the President, and saw Coolidge’s son and wife, while yesterday he was the guest of Mikhail Kalinin, President of the USSR, who impressed him tremendously. Stalin: With regard to our plans of agricultural and industrial development, as well as our concern for the development of cultural life, we are still at the very beginning of our work. In the building up of industry we have done very little as yet. Still less has been done in carrying out the plans for agricultural re-construction. We must not forget that our country was exceedingly backward and that this backwardness is still a great handicap. The difference between the former and the new leading figures in Russia consists, among other things, in the fact that the old ones considered the country’s backwardness one of its good points, regarding it as a “national characteristic,” a matter for “national pride,” whereas the new people, the Soviet people, combat it as an evil that must be rooted out. Herein lies the guarantee of our success. We know that we are not free from mistakes. But we do not fear criticism, are not afraid to face the difficulties and admit our mistakes. We shall accept correct criticism and welcome it. We watch developments in the USA, for that country ranks high in science and technology. We would like scientific and technical people in America to be our teachers in the sphere of technique, and we their pupils. Every period in the development of a nation is marked by a passion of its own. In Russia we now witness a passion for construction. This is her preponderating feature today. This explains the construction fever that we are. experiencing at present. It is reminiscent of the period that the USA went through after the Civil War. (1) This affords a basis and an opportunity for technical industrial and commercial cooperation with the USA I do not know what still needs to be done to secure contact with American industry. Could you not explain what now prevents such a rapprochement from being realized, if it is established that such contact would be advantageous to both the USSR and the USA? Mr. Campbell: I am certain that there is a striking similarity between the USA and Russia in point of size, resources and independence. Mr. Stalin’s reference to the Civil War period is correct. After the Civil War extraordinary expansion was witnessed. The people in the USA are interested in Russia. I am sure that Russia is too big a country not to be a big factor in world relations. The people at the head of the Russian Government have grand opportunities to accomplish great things. All that is needed for this is clarity of judgment and the ability to be fair at all times. I see the advantage of proper business contact and I am maintaining close connection with the government, although I am a private citizen. I am carrying on this conversation as a private person. Once I have been asked what hinders contact between the USA and Russia I want to answer with the utmost frankness and courage, with due respect for Mr. Stalin and without giving offence. He is very objective-minded and this allows me to converse with him as man to man for the benefit of both countries and absolutely confidentially. If we could have official recognition everybody would be anxious to get here to do business on a credit or other basis, as is being done everywhere. A reason why American firms hesitate to do business and grant long-term credits is the fact that our Washington Government does not recognize your Government. The main reason for this, however, is not simply failure in the matter of recognition. The main reason, we assume (and this may be taken as certain), is that representatives of your Government in our country are trying all the time to sow discontent and spread the ideas of Soviet power. We have in our country what is called the “Monroe Doctrine,” which signifies that we do not want to interfere in the affairs of any other country in the world, that we confine ourselves strictly to our own affairs. For that reason we do not want any country whatever – Britain, France, Germany, Russia or any other – to interfere in our private affairs. Russia is so vast a country that she can by herself fulfill everything that her whole people decide to do. Russia has resources of her own of every kind, and although it will take more time the Russians in the long run will be able to develop their resources independently. It gives us pleasure to feel that in many respects we are an ideal for the Russian people, and I believe we can be very useful to that people, particularly in economizing time. Since we have solved many economic problems and our methods are copied by many countries besides Russia, such enterprises as the building of state farms imply a strengthening of trade connections, and In the final analysis trade connections will be followed by diplomatic recognition on some equitable basis. The only way for nations, as for individuals, is to speak out frankly without discourtesy, and then the time will soon come for some kind of agreement. The better our upbringing the greater our conviction that more can be achieved by reason than by any other means. Great nations can differ in opinion without straining relations and great men can come to an arrangement on major problems. They usually wind up their negotiations with a definite agreement in which they meet each other halfway, no matter how far apart their initial positions were. Stalin: I realize that diplomatic recognition involves difficulties for the USA at the present moment. Soviet Government representatives have been subjected to abuse by the American press so much and so often that an abrupt change is difficult. Personally I do not consider diplomatic recognition decisive at the moment. What is important is a development of trade connections on the basis of mutual advantage. Trade relations need to be normalized and if this matter is put on some legal footing it would be a first and very important step towards diplomatic recognition. The question of diplomatic recognition will find its own solution when both sides realize that diplomatic relations are advantageous. The chief basis is trade relations and their normalization, which will lead to the establishment of definite legal norms. The natural resources of our country are, of course, rich and varied. They are richer and more varied than is officially known, and our research expeditions are constantly finding new resources in our extensive country. But this is only one aspect of our potentialities. The other aspect is the fact that our peasants and workers are now rid of their former burden, the landlords and capitalists. Formerly the landlords and capitalists used to squander unproductively what today remains within the country and increases its internal purchasing power. The increase in demand is such that our industry, in spite of its rapid expansion, cannot catch up with it. The demand is prodigious, both for personal and productive consumption. This is the second aspect of our unlimited potentialities. Both the one and the other give rise to an important basis for commercial and industrial contact with the USA as well as other developed countries. The question as to which state is to apply its forces to these resources and potentialities of our country is the object of a complicated struggle among them. Unfortunately the USA still stands quite aloof from this struggle. On all sides the Germans are shouting that the position of the Soviet Government is unstable and that therefore one ought not to grant any considerable credits to Soviet economic organizations. At the same time they try to monopolize trade relations with the USSR by granting it credits. As you know, one group of British businessmen is also carrying on a fierce anti-Soviet campaign. At the same time this very group and also the McKenna group are endeavoring to organize credits for the USSR The press has already reported that in February a delegation of British industrialists and bankers will come to the USSR They intend to submit to the Soviet Government an extensive plan for trade relations and a loan. How are we to explain this duplicity of the German and British businessmen? It is to be explained by their desire to monopolize trade relations with the USSR, frightening the USA away and pushing it aside. At the same time, it is clear to me that the USA has better grounds for extensive business connections with the USSR than any other country. And this is not only because the USA is rich both in technical equipment and capital, but also because in no other country are our business people given such a cordial and hospitable welcome as in the USA. As regards propaganda, I must state most emphatically that no representative of the Soviet Government has the right to interfere, either directly or indirectly, in the internal affairs of the country in which he happens to be. In this respect the most strict and definite instructions have been given to all our personnel employed in Soviet institutions in the USA I am certain that Bron and the members of his staff do not have the slightest connection with propaganda in any form whatsoever. Should any of our employees violate these strict directives as regards non-interference he would immediately be recalled and punished. Naturally we cannot answer for the actions of persons not known and not subordinate to us. But we can assume responsibility as regards interference by persons employed in our institutions abroad, and we can give the maximum guarantees on that score. Mr. Campbell: May I tell that to Mr. Hoover? Mr. Campbell: We do not know who those people are that sow discontent. But there are such people. The police find them and their literature. I know Bron and am convinced that he is an honest, straightforward gentleman, who does business honestly. But there is somebody. Stalin: It is possible that propaganda in favor of Soviets is being carried on in the USA by members of the American Communist Party. But that party is legal in the USA, it legally participates in Presidential elections and nominates its candidates for President, and it is quite clear that we cannot be interfering in your internal affairs in this case either. Mr. Campbell: I have no further questions. But yes, I have. When I return to the United States businessmen will ask me whether it is safe to do business with the USSR Engineering concerns in particular will be interested in the possibility of granting long-term credits. Can I answer in the affirmative? Can I obtain information on the measures now being taken by the Soviet Government to guarantee credit transactions; is there any special tax or other specific source of revenue set aside for this purpose? Stalin: I would prefer not to sing the praises of my country. But now that the question has been put I must reply as follows: There has not been a single instance of the Soviet Government or a Soviet economic institution failing to make payment correctly and on tune on credits, whether short-term or long-term. Inquiries could be made in Germany on how we meet payments to the Germans on their credit of three hundred millions. Where do we get the means to effect payment? Mr. Campbell knows that money does not drop from the sky. Our agriculture, industry, trade, timber, oil, gold, platinum, etc. — such is the source of our payments. Therein lies the guarantee of our payments. I do not want Mr. Campbell to take my word for it. He can check my statements in Germany, for example. He will find that not once was payment postponed, although at times we actually had to pay such unheard-of interest rates as 15-20%. Mr. Campbell: Of course not. Stalin: Perhaps it would not be amiss to tell you, strictly confidentially, about the loan, not credit but loan, offered by a group of British bankers – that of Balfour and Kingsley. Mr. Campbell: May I tell Hoover about this? They calculate that our debts to Britain amount approximately to £400,000,000. It is proposed that they be consolidated at 25%. That means £100,000,000 instead of £400,000,000. Simultaneously a loan of £100,000,000 is proposed. Thus our indebtedness will amount to £200,000,000 to be paid in installments over a period of several decades. In return we are to give preference to the British engineering industry. This does not mean that we shall have to place our orders in Britain alone, but the British must be given preference. Mr. Campbell, in expressing his thanks for the interview, says that Stalin has impressed him as a fair, well-informed and straightforward man. He is very glad to have had the opportunity of speaking with Stalin and considers the interview historic. Stalin thanks Mr. Campbell for the talk. (1) This refers to the Civil War between the northern and the Southern states of America in 1861-65. Stalin: What can I do for you? Robin: I consider it a great honor to have an opportunity of paying you a visit. Stalin: There is nothing particular in that. You are exaggerating. Robins (smiles) : What is most interesting to me is that throughout Russia I have found the names Lenin-Stalin, Lenin-Stalin, Lenin-Stalin, linked together. Stalin: That, too, is an exaggeration. 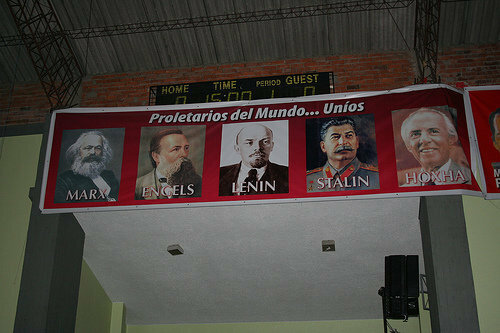 How can I be compared to Lenin? Robin: (smiles) : Would it also be an exaggeration to say that all this time the oldest government in the world has been the government of Soviet Russia — the Council of People’s Commissars? Stalin: That, to be sure, is not exaggerated. Robin: The interesting and important point is that this government has not taken a reactionary direction in its work and that it is the government set up by Lenin that has proved strong. It resists all hostile lines. 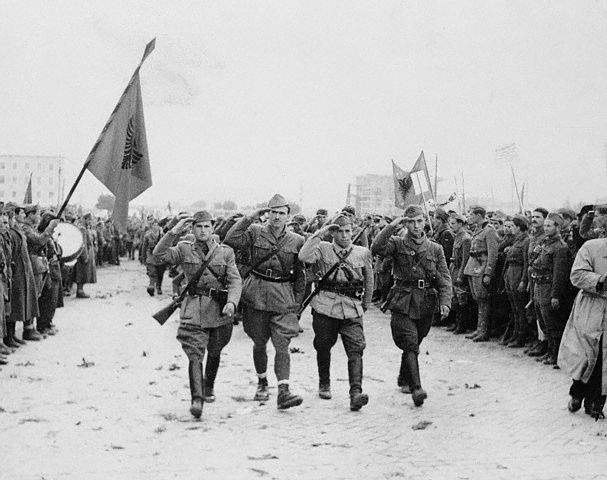 Robins: At the May Day demonstration Russia’s development during the past fifteen years impressed itself upon me with particular clarity and sharpness, for I witnessed the May Day demonstration in 1918, and now in 1933. Stalin: We have managed to do a few things in recent years. But fifteen years is a long period of time. Robins: Still, in the life of a country it is a short period for such great progress as Soviet Russia has achieved during this time. Stalin: We might have done more, but we did not manage to. Robins: It is interesting to compare the underlying motives, the basic lines followed in the two demonstrations. 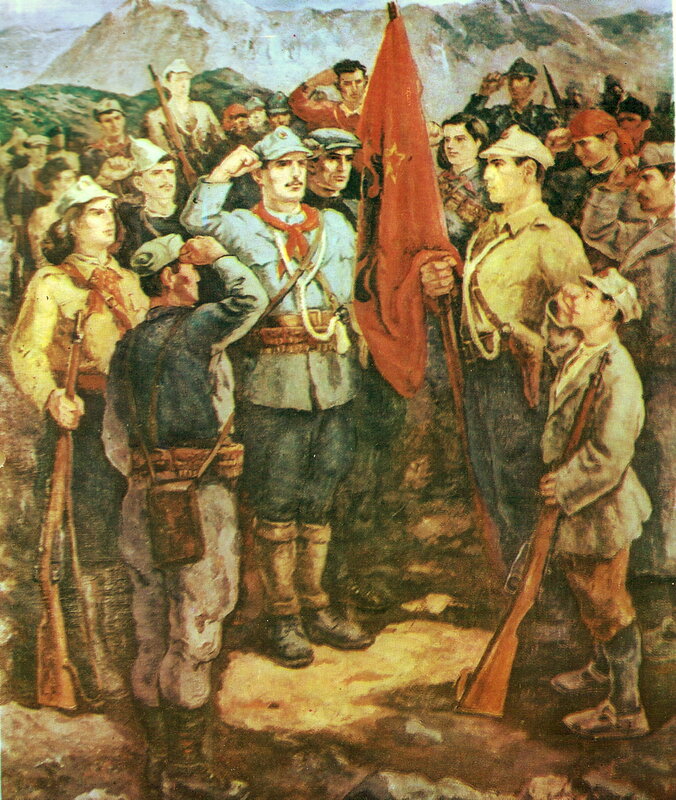 The 1918 demonstration was addressed to the outside world, to the proletariat of the whole world, to the international proletariat, and was a call to revolution. Now the motive was different. Now men, women and the youth went to the demonstration to proclaim: This is the country we are building, this is the land we shall defend with all our strength! Stalin: At that time the demonstration was agitational, but now it is a summing up. Robins: You probably know that during these fifteen years I have interested myself in establishing rational relations between our two countries, and have endeavored to dispel the existing hostile attitude of the ruling circles in America. Stalin: I knew of this in 1918 from what Lenin had said, and afterwards on the basis of facts. Yes, I know it. Robins: I have come here in the capacity of a purely private citizen and speak only for myself. The chief aim of my visit is to ascertain the prospects of establishing relations, to ascertain the actual facts concerning the ability to work and the creative, inventive capacity of the Russian workers. 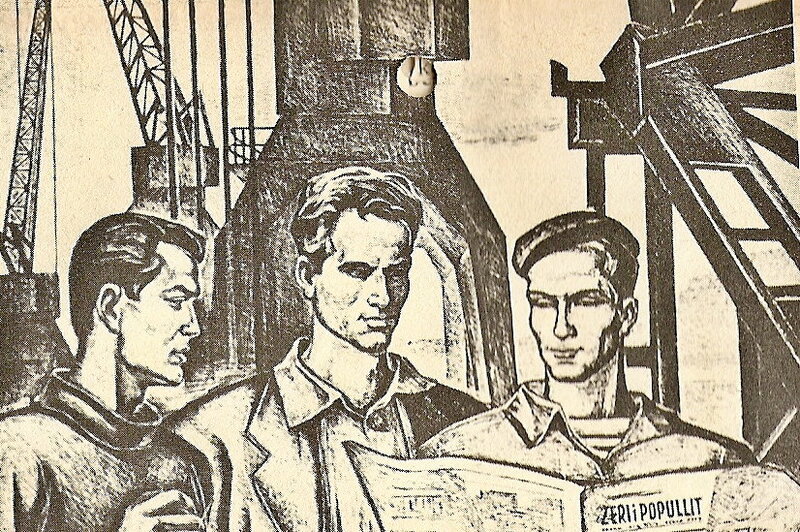 Anti-Soviet propaganda has it that the Russian worker is lazy, does not know how to work, and ruins the machines he handles; that such a country has no future. I want to counteract this propaganda not merely with words, but armed with the facts. The second question of interest to me in this connection is the situation in agriculture. It is being asserted that industrialization has played havoc with agriculture, that the peasants have stopped sowing, have stopped gathering in the grain. Every year it is asserted that this year Russia is sure to die of famine. I should like to learn the facts about agriculture in order to refute these assertions. I expect to see the areas where new kinds of crops have been sown this year for the first time. What interests me in particular is the development of the principal grain crops of the Soviet Union. The third question that interests me is public education, the development of children and the youth, their upbringing; how far public education has developed in the fields of art and literature, as regards what is called creative genius, inventive capacity. In America two types of creativeness are recognized — one is the creativeness of the study and the other is broad, life-inspired creativeness, manifestations of the creative spirit in life. I am interested in knowing how children and young people are developing. I hope to see in real life how they study, how they are brought up and how they develop. On the first and third questions I have already obtained some valuable information and count on getting additional data. On the second question, concerning the development of agriculture, I expect to be able to discover the real facts during my trip to Magnitogorsk and from there to Rostov, Kharkov and back. I expect to have a look at collective farms and see how the archaic strip system of cultivation is being eliminated and large-scale agriculture developed. Stalin: Do you want my opinion? Robins: Yes, I would like to have it. Stalin: The notion that the Soviet worker is by nature incapable of coping with machines and breaks them is quite wrong. On this score I must say that no such thing is happening here as occurred in Western Europe and America, where workers deliberately smashed machines because these deprived them of their crust of bread. Our workers have no such attitude to machinery, because in our country machines are being introduced on a mass scale in conditions where there is no unemployment, because the machines do not deprive the workers of their livelihood, as with you, but make their work easier. In my opinion, this rapid mastery of the production of machines is to be explained not by the special ability of the Russian workers but by the fact that in our country the production of, say, aircraft and engines for them, of tractors, automobiles and machine tools is considered not the private affair of individuals, but an affair of the state. In the West the workers produce to get wages, and are not concerned about anything else. With us production is regarded as a public matter, a state matter, it is regarded as a matter of honor. That is why new technique is mastered so quickly in our country. In general, I consider it impossible to assume that the workers of any particular nation are incapable of mastering new technique. If we look at the matter from the racial point of view, then in the United States, for instance, the Negroes are considered “bottom category men,” yet they master technique no worse than the whites. The question of the mastery of technique by the workers of a particular nation is not a biological question, not a question of heredity, but a question of time: today they have not mastered it, tomorrow they will learn and master it. Everyone, including the Bushman, can master technique, provided he is helped. Robins: The ambition, the desire to master, is also required. Stalin: Of course. The Russian workers have more than enough desire and ambition. They consider the mastery of new technique a matter of honor. Robins: I have already sensed this in your factories where I have seen that socialist emulation has resulted in the creation of a new kind of ardour, a new sort of ambition that money could never buy, because the workers expect to get for their work something better and greater than money can procure. Stalin: That is true. It is a matter of honor. Robins: I shall take with me to America diagrams showing the development of the workers’ inventiveness and their creative proposals, which improve production and effect considerable savings in production. I have seen the portraits of quite a few such worker-inventors who have done very much for the Soviet Union in the way of improving production and achieving economies. Stalin: Our country has produced a comparatively large number of such workers. They are very capable people. Robins: I have been in all your big Moscow factories-the AMO Automobile Works, the Ball Bearing Works, the Freser Works and others – and everywhere I came across organizations for promoting workers’ inventive-ness. The tool room in a number of these factories impressed me particularly. As these tool rooms provide their factories with highly valuable tools the workers there exert all their faculties to the utmost, give full play to their creative initiative and achieve striking results. Stalin: In spite of that, we have many shortcomings as well. We have few skilled workers, while a great many are required. Our technical personnel is also small. Each year their number grows, and still there are fewer of them than we need. The Americans have been of great help to us. That must be admitted. They have helped more effectively than others and more boldly than others. Our thanks to them for that. Robins: I have witnessed an internationalism in your enterprises which produced a very strong impression on me. Your factory managements are ready to adopt the technical achievements of any country – France, America, Britain or Germany – without any prejudice against these countries. And it seems to me that it is just this internationalism that will make it possible to combine in one machine all the advantages possessed by the machines of other countries and thus create more perfect machines. On the second question, about industrialization allegedly ruining agriculture, that notion is also wrong. Far from ruining agriculture in our country, industrialization is saving it, and saving our peasants. A few years ago we had a greatly disunited, small and very small, peasant economy. With the increasing division of the land, the peasant allotments shrank so much that there was no room to keep a hen. Add to this the primitive farming equipment, such as wooden ploughs and emaciated horses, which were incapable of turning up not only virgin soil, but even the ordinary, rather hard, soil, and you will have a picture of the deterioration of agriculture. Three or four years ago there were about 7,000,000 wooden ploughs in the USSR The only choice left for the peasants was this: either to lie down and die or to adopt a new form of land tenure and cultivate the land with machines. This indeed explains why the Soviet Government’s call to the peasants issued about that time – to unite their tiny plots of land into large tracts and accept from the government tractors, harvesters and threshers for working these tracts, for gathering and threshing the harvest-found a very lively response among the peasants. They naturally seized on the proposal of the Soviet Government, began to unite their plots of land into large fields, accepted the tractors and other machines and thus emerged on the broad high-way of making agriculture large scale, the new road of the radical improvement of agriculture. It follows that industrialization, as a result of which the peasants receive tractors and other machines, has saved the peasants, has saved agriculture. The process of uniting small peasant farms by whole villages into large farms we call collectivization, and the united large farms themselves – collective farms. The absence in our country of private property in land, the nationalization of the land, makes collectivization much easier. The land is transferred to the collective farms for their use in perpetuity and, owing to the absence of private property in land, no land can be bought or sold here. All this considerably facilitates the formation and development of collective farms. I do not mean to say that all this, i.e., collectivization and the rest, is proceeding smoothly with us. There are difficulties, of course, and they are not small ones. 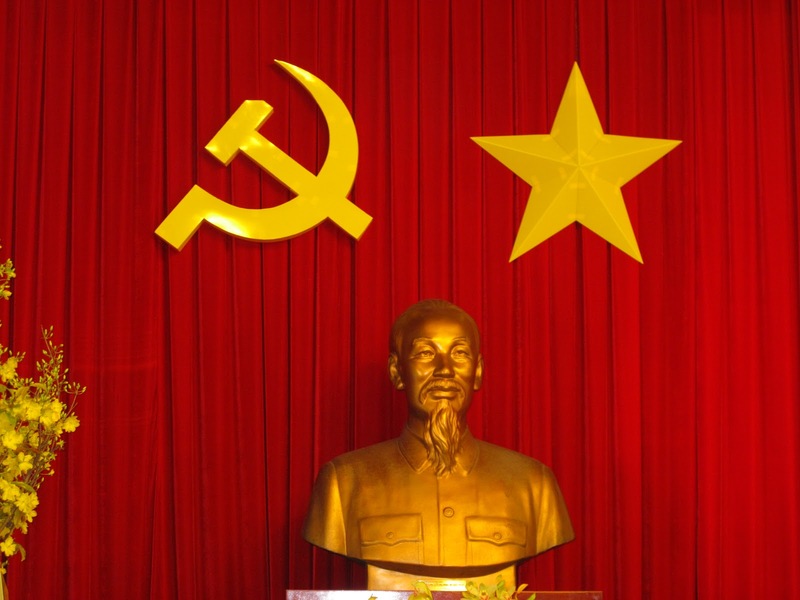 Collectivization, like every great new undertaking, has not only friends, but also enemies. 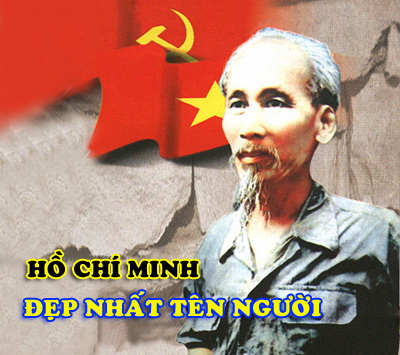 Nevertheless, the overwhelming majority of the peasants are in favor of collectivization, and the number of its opponents is becoming smaller and smaller. Robins: Every advance involves certain outlays, and this we take into account and include in our calculations. 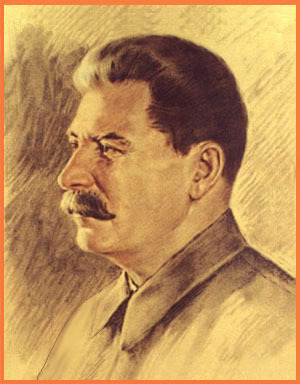 Stalin: In spite of these difficulties, however, one thing is clear – and I have not the slightest doubt on this score: nineteen-twentieths of the peasantry have recognized, and most of the peasants accept the fact with great joy, that the collectivization of agriculture has become an irreversible fact. So then this has already been achieved. The predominant form of agriculture in our country now is the collective farm. Take the grain sowing or harvesting figures, the figures for grain production, and you will see that at the present time the individual peasants provide something like 10-15 per cent of the total gross output of grain. The rest comes from the collective farms. Robins: I am interested in the question whether it is true that last year’s crop was gathered in unsatisfactorily, that at the present time the sowing campaign is proceeding satisfactorily, while last year the harvesting proceeded unsatisfactorily. Stalin: Last year the harvesting was less satisfactory than the year before. Robins: I have read your statements, and I believe they warrant the conclusion that this year the harvesting will be more successful. Stalin: It will most probably proceed much better. Robins: I think you appreciate no less than I do the tremendous achievement embodied in your successful industrialization of agriculture, a thing which no other country has been able to do. In all capitalist countries agriculture is undergoing a deep crisis and is in need of industrialization. The capitalist countries manage somehow or other to cope with industrial production, but not one of them can cope with agriculture. The great achievement of the Soviet Union is that it has set about the solution of this problem and is successfully coping with it. Stalin: Yes, that is a fact. Such are our achievements and shortcomings in the sphere of agriculture. Now the third question — about the education of children and of the youth as a whole. Ours is a fine youth, full of the joy of life. Our state differs from all others in that it does not stint the means for providing proper care of children and for giving the youth a good upbringing. Robins: In America it is believed that in your country the child is restricted in its development within definite, rigid bounds and that these bounds leave no freedom for the development of the creative spirit and freedom of the mind. Do you not think that freedom for the development of the creative spirit, freedom to express what is in one, is of extremely great importance? Stalin: First, concerning restrictions — this is not true. The second is true. Undoubtedly a child cannot develop its faculties under a regime of isolation and strict regimentation, without the necessary freedom and encouragement of initiative. As regards the youth, all roads are open to it in our country and it can freely perfect itself. In our country children are not beaten and are very seldom punished. They are given the opportunity of choosing what they like, of pursuing a path of their own choice. I believe that nowhere is there such care for the child, for its upbringing and development, as among us in the Soviet Union. Robins: Can one consider that, as a result of the new generation being emancipated from the burden of want, being emancipated from the terror of economic conditions, this emancipation is bound to lead to a new flourishing of creative energy, to the blossoming of a new art, to a new advance of culture and art, which was formerly hampered by all these shackles? Stalin: That is undoubtedly true. Robins: I am not a Communist and do not understand very much about communism, but I should like America to participate in, to have the opportunity of associating itself with, the development that is taking place here in Soviet Russia, and I should like Americans to get this opportunity by means of recognition, by granting credits, by means of establishing normal relations between the two countries, for example, in the Far East, so as to safeguard the great and daring undertaking which is in process in your country, so that it may be brought to a successful conclusion. Stalin (with a smile) : I thank you for your good wishes. 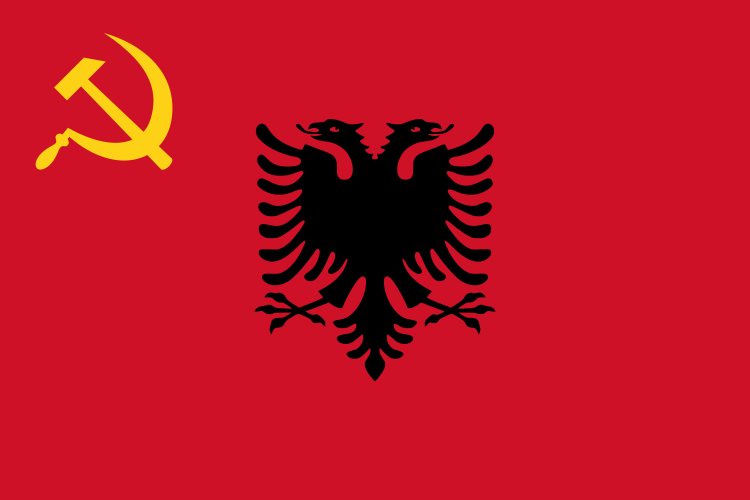 Robins: One of my closest friends is Senator Borab, who has been the staunchest friend of the Soviet Union and has been fighting for its recognition among the leaders of the American Government. Stalin: That is so; he is doing much to promote the establishment of normal relations between our two countries. But so far, unfortunately, he has not met with success. Robins: I am convinced that the true facts are now having a much greater effect than at any time during the past fifteen years in favor of establishing normal relations between our two countries. Stalin: Quite true. But there is one circumstance that hinders it. Britain, I believe, hinders it (smiles) . Robins: That is undoubtedly so. Still, the situation forces us to act above all in our own interests, and the conflict between our own interests and the course towards which other countries are driving us is impelling America, at the present time more than at any other, to establish such reciprocal relations. We are interested in the development of American exports. The only big market with great possibilities that have not been adequately utilized hitherto by anybody is the Russian market. American businessmen, if they wanted to, could grant long-term credits. They are interested in tranquillity in the Far East, and nothing could promote this more than the establishment of normal relations with the Soviet Union. In this respect, Mr. Litvinov’s Geneva declaration on the definition of an aggressor country follows entirely the line of the Briand-Kellogg Pact, which has played an important role in the matter of peace. Stabilization of reciprocal economic relations throughout the world is in the interest of America, and we fully realize that normal reciprocal economic relations cannot be attained while the Soviet Union is outside the general economic system. Stalin: All that is true. Robins: I was and I remain an incorrigible optimist. I believed in the leaders of the Bolshevik revolution as long as fifteen years ago. 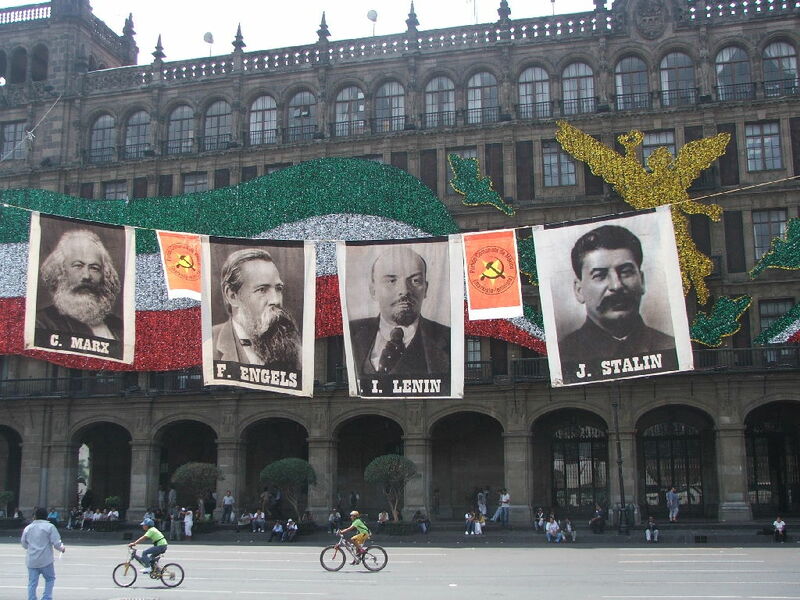 They were then depicted as agents of German imperialism; Lenin, in particular, was considered a German agent. But I considered and still consider Lenin a very great man, one of the greatest leaders in all world history. I hope that the information I have received at first hand may help towards carrying out the plan of rapprochement and cooperation between our two countries about which I have spoken. Stalin (smiling) : I hope it will! Robins (smiles) : If you had expressed yourself in the American manner you would have said: “More power to your elbow.” He is not sure of having much strength left in his elbow. Robins: I think there is nothing greater and more magnificent than to participate in the making of a new world, to participate in what we are now engaged in. Participation in the creation and building of a new world is something of paramount significance not only now, but thousands of years hence. Stalin: All the same this matter presents great difficulties (smiles). Robins (smiles) : I am very grateful to you for the attention you have given me. Your fears as to the safety of American citizens in the U.S.S.R. are quite groundless. The U.S.S.R. is one of the few countries in the world where a display of national hatred or an unfriendly attitude towards foreigners as such is punishable by law. There has never been, nor could there be, a case of any one becoming an object of persecution in the U.S.S.R. on account of his national origin. That is particularly true with regard to foreign specialists in the U.S.S.R., including American specialists, whose work in my opinion deserves our thanks. As for the few British employees of Metro-Vickers, (1) legal action was taken against them not as Britishers but as persons who, our investigating authorities assert, have violated laws of the U.S.S.R. Was not legal action taken similarly against Russians? I do not know what bearing this case can have on American citizens. (1) Metro-Vickers—a British electrical-engineering firm which had contracted with the U.S.S.R. to render technical aid to enterprises of the Soviet electrical industry. In March 1933, criminal proceedings were instituted against six Britishers, employees of the Moscow office of Metro-Vickers, on the charge of engaging in wrecking at large Soviet electric power stations. The investigation and the trial, which took place on April 12-19, 1933, established that the arrested Metro-Vickers employees had carried on espionage in the U.S.S.R. and, with the assistance of a gang of criminal elements, had organised damage to equipment, accidents and acts of sabotage at large U.S.S.R. electric power-stations for the purpose of undermining the strength of Soviet industry and of weakening the Soviet state. 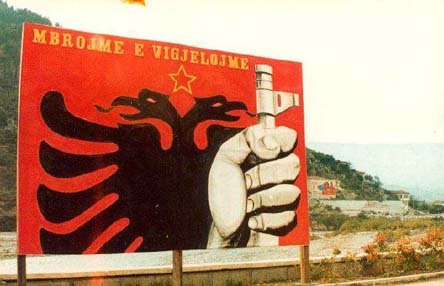 This entry was posted in Anti-Imperialism, British Imperialism, Capitalism & Bourgeois Liberalism, Capitalist Exploitation, Class Struggle, Fascism, Fascist Massacres, German Imperialism, History, How Will Communism Work, Imperialism & Colonialism, Imperialist Massacres, Imperialist War, Japanese Imperialism, Joseph Stalin, Lies & Propaganda, Life in Socialist Countries, Marxism-Leninism, Myth-Busting, Polemics & Refutations, Revolutionary Quotations, Socialist Revolution, The Classics, The Union of Soviet Socialist Republics (U.S.S.R.), Theory, U.S. 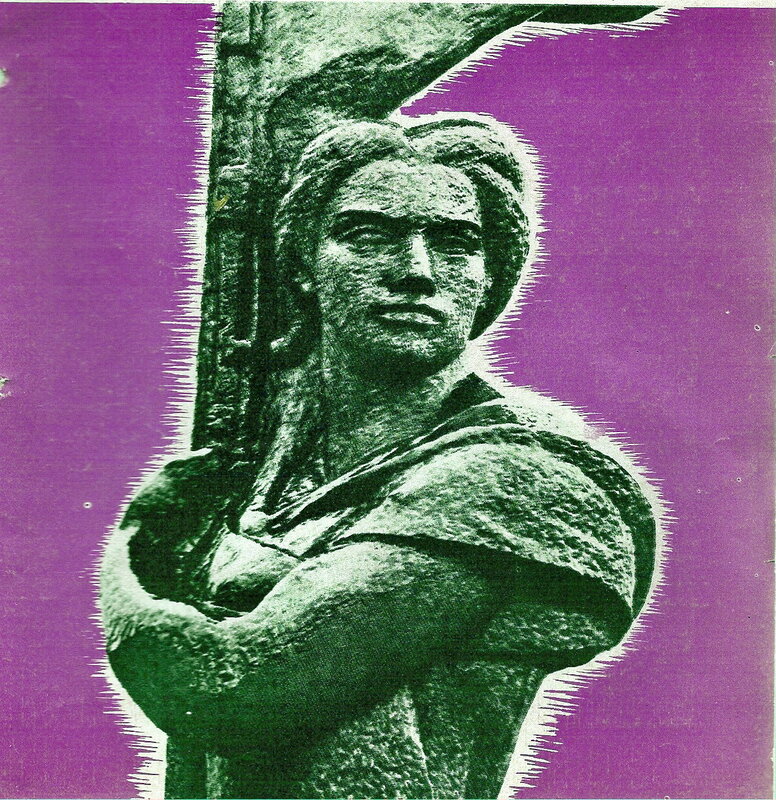 Imperialism, Vladimir Lenin. Bookmark the permalink.